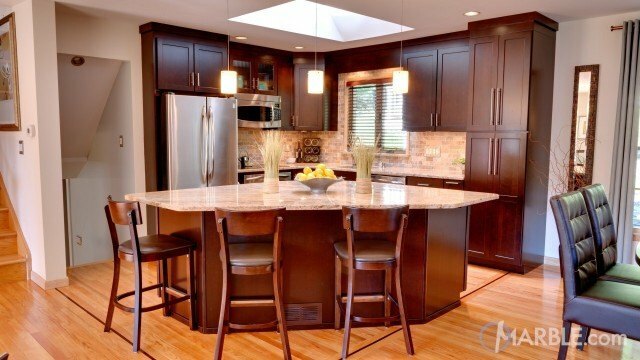 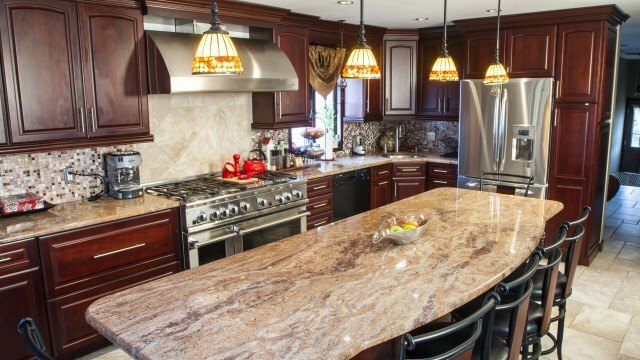 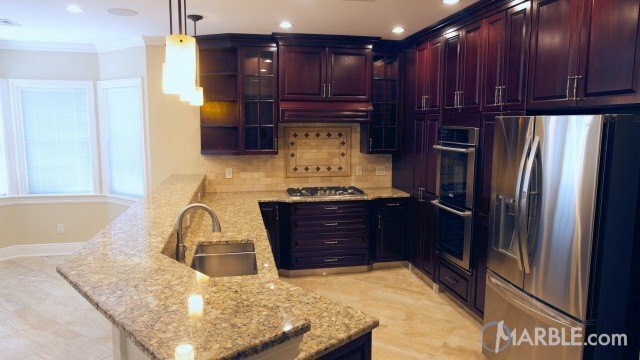 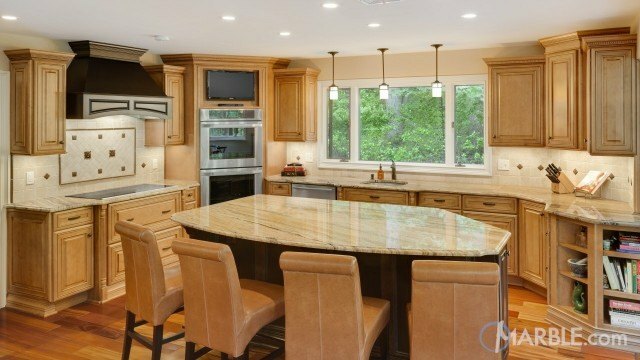 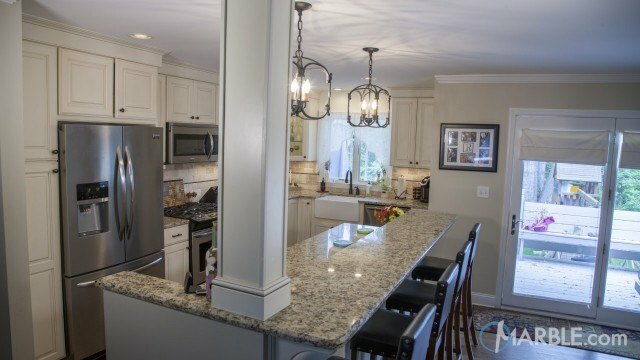 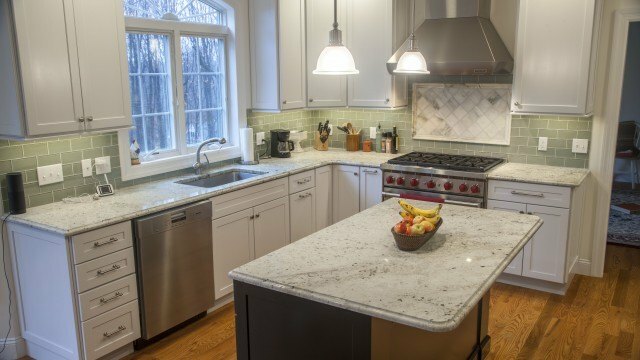 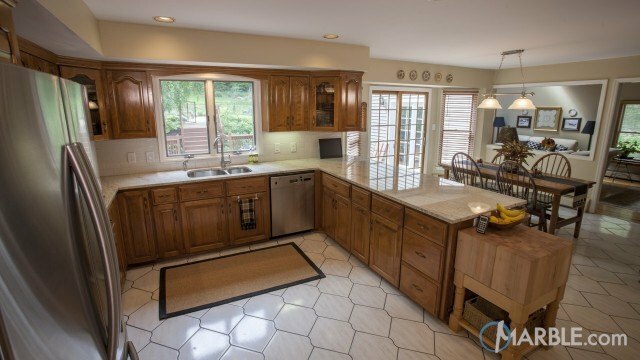 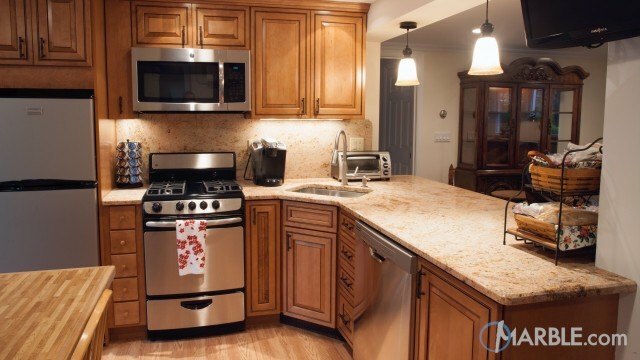 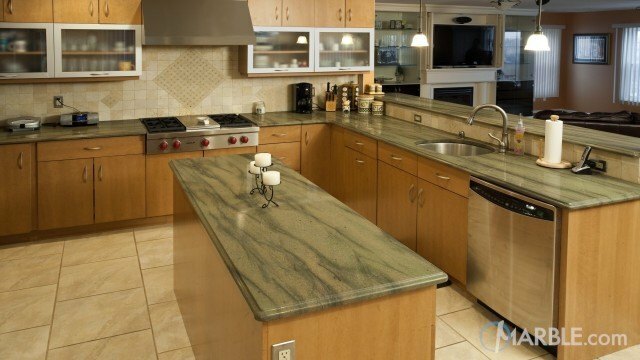 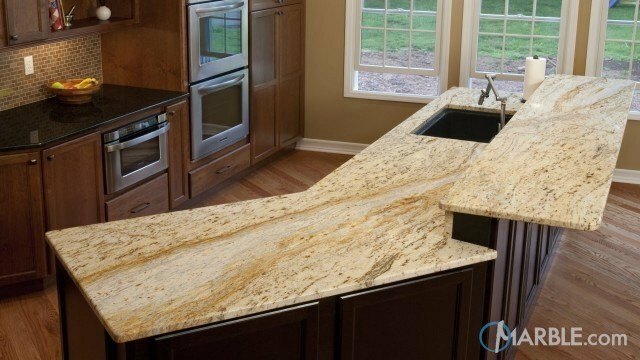 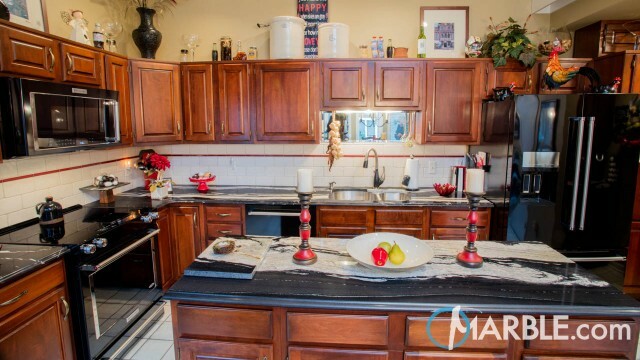 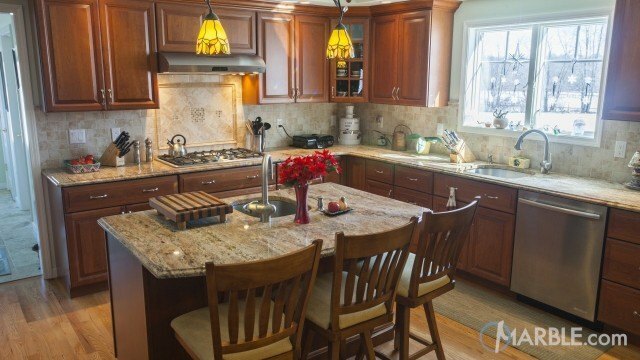 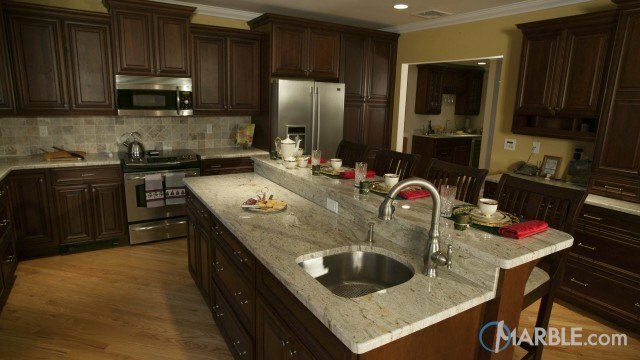 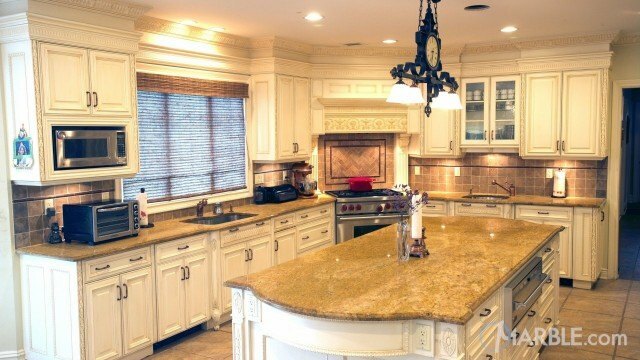 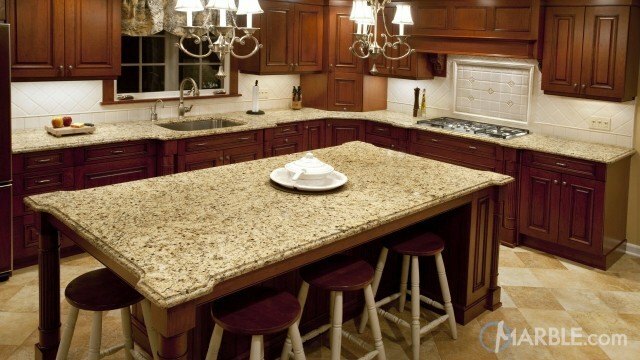 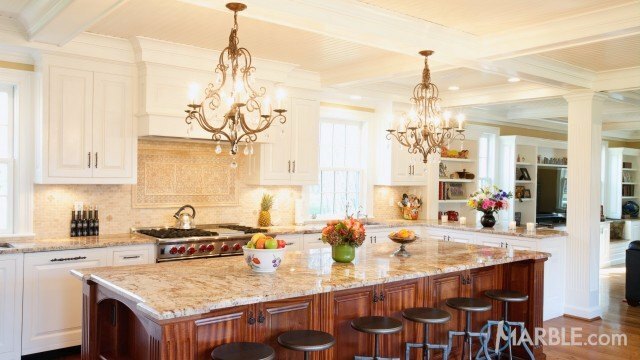 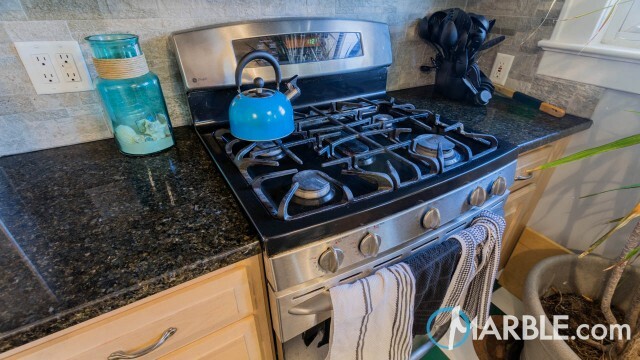 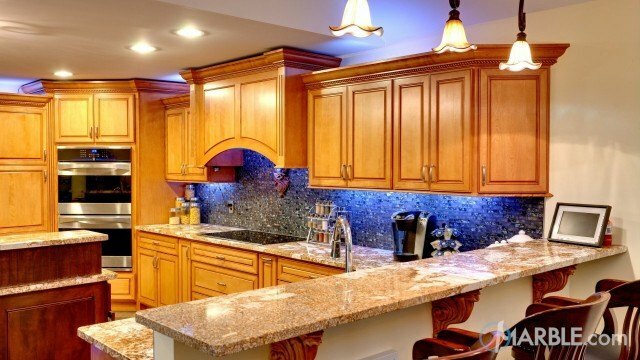 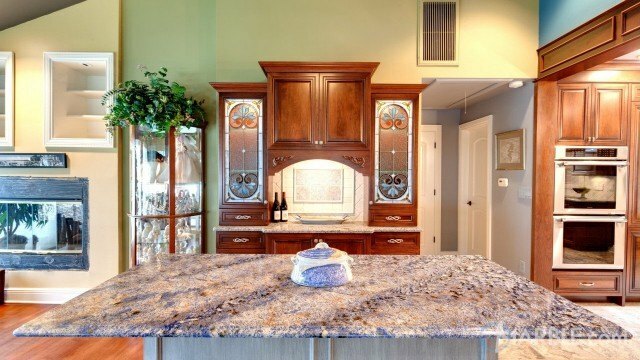 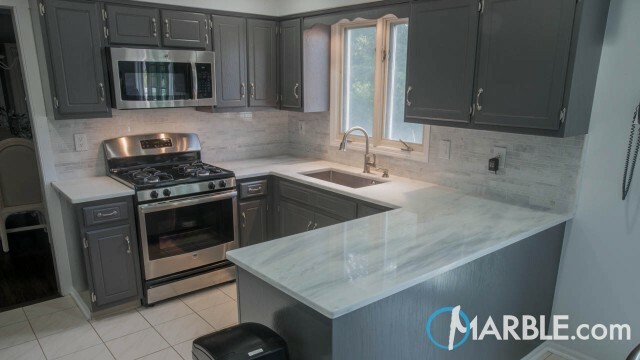 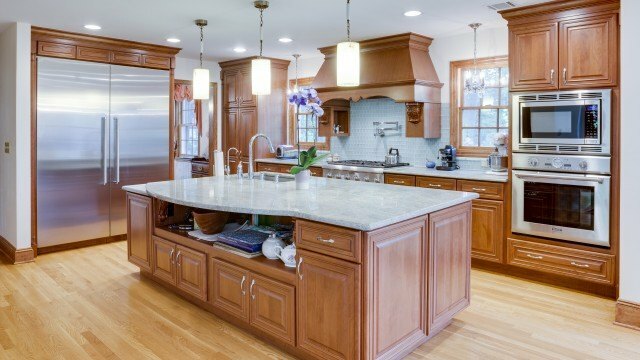 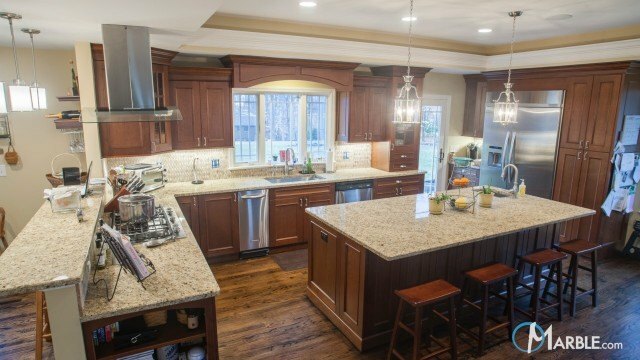 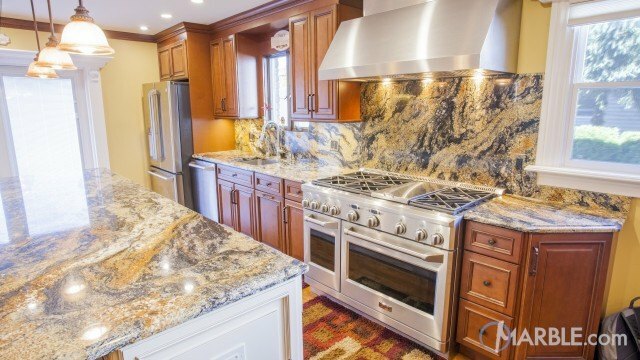 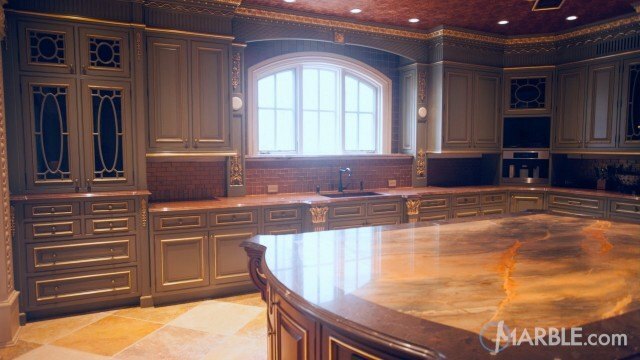 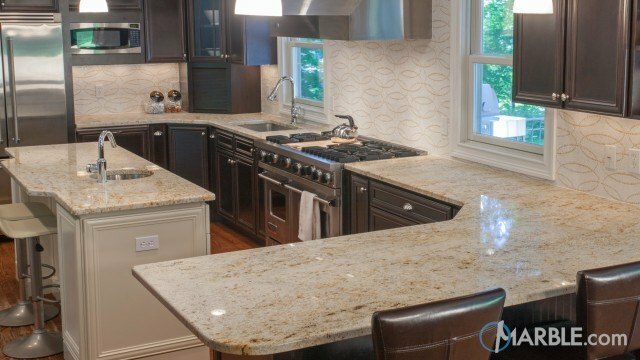 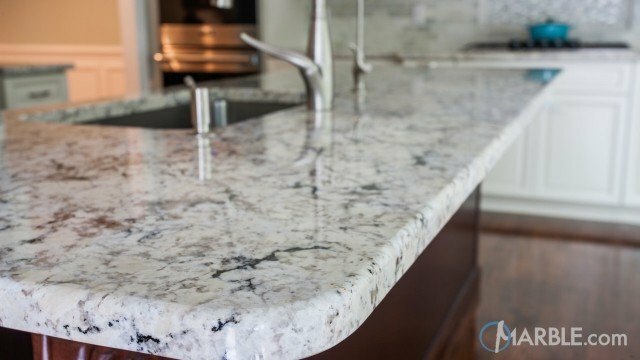 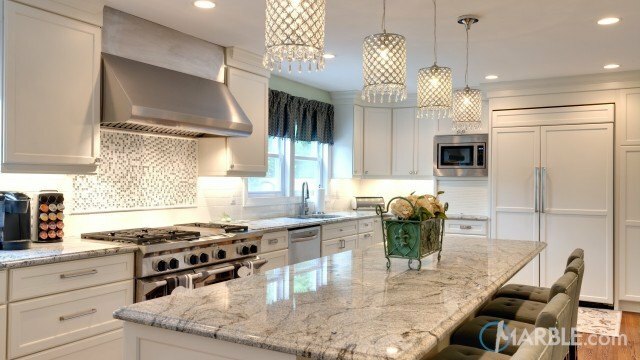 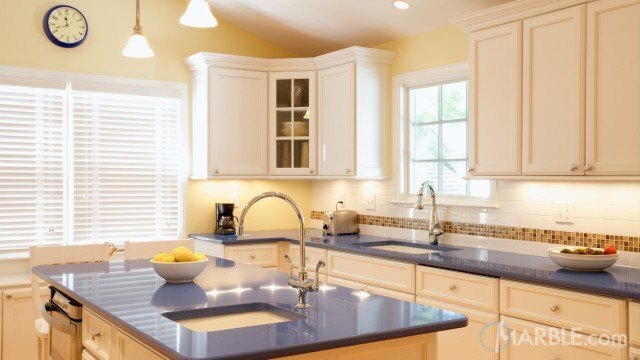 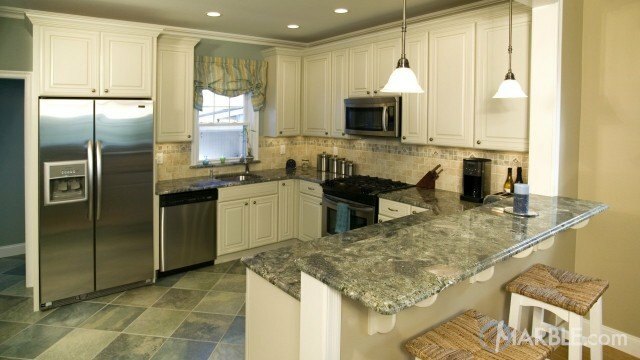 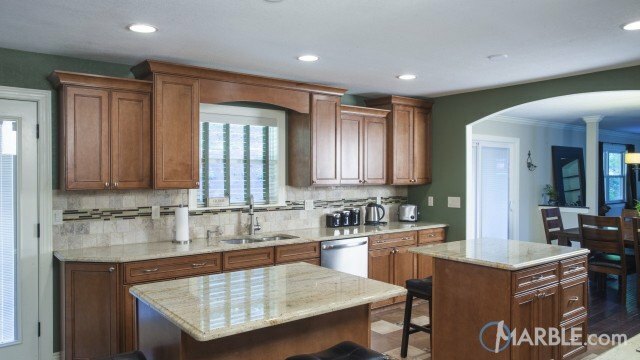 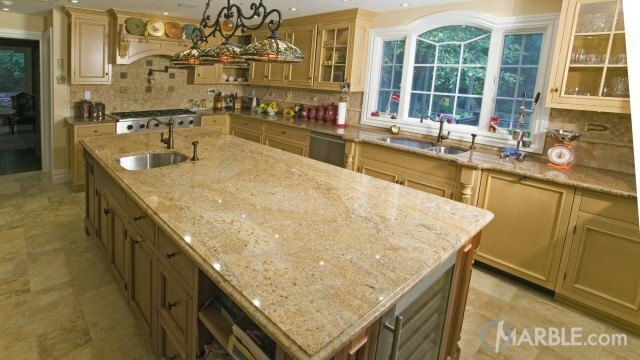 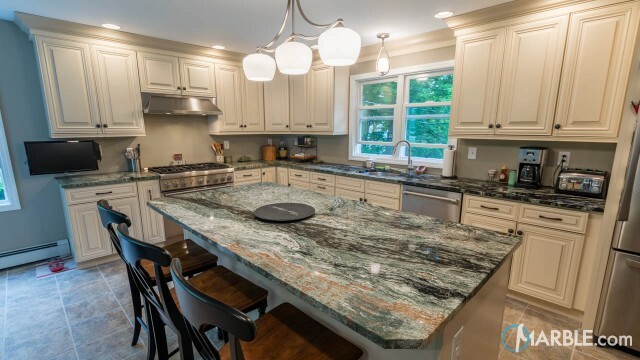 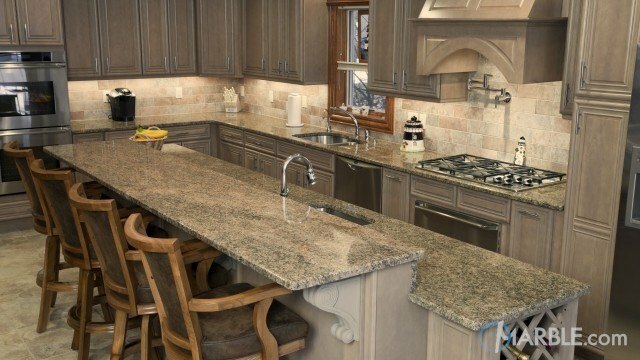 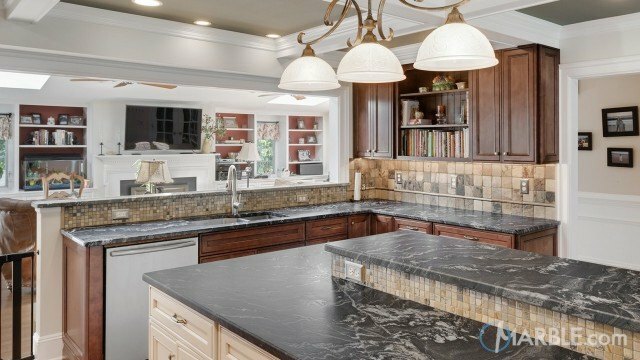 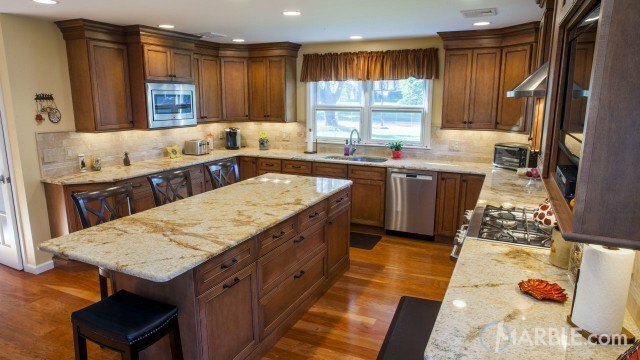 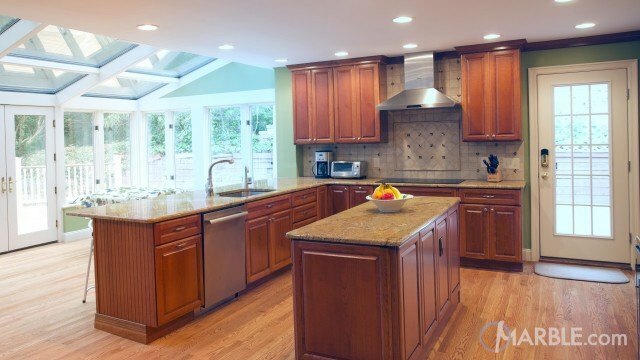 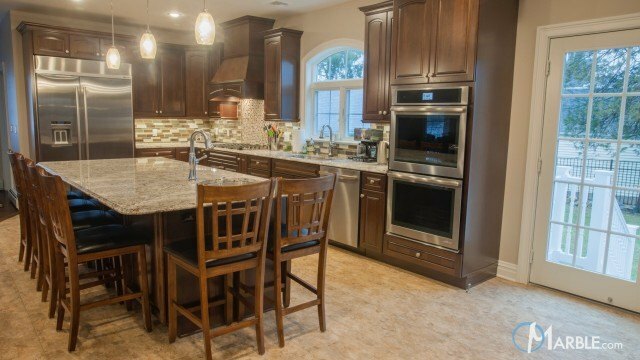 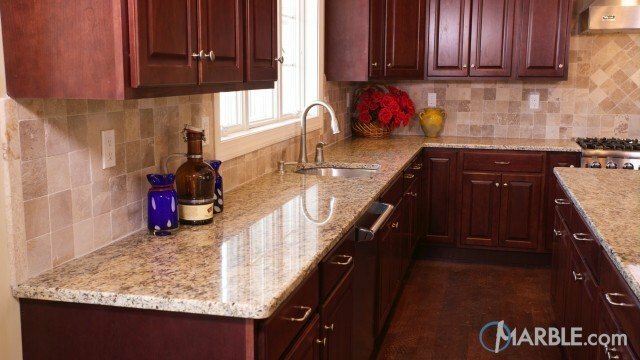 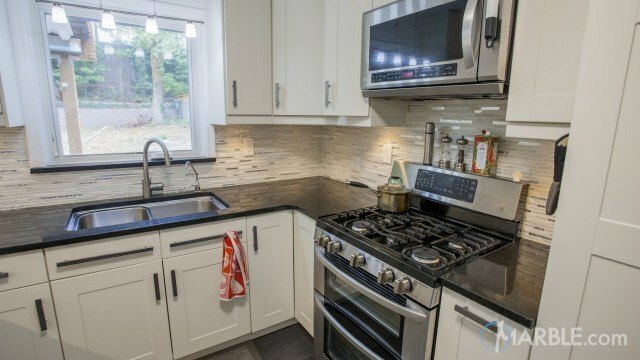 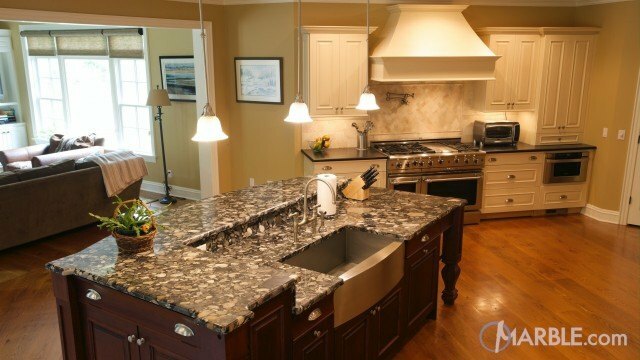 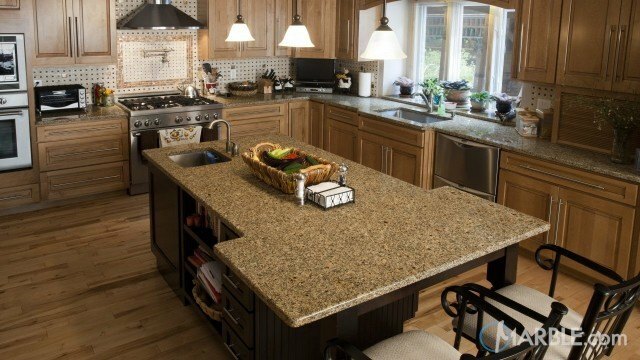 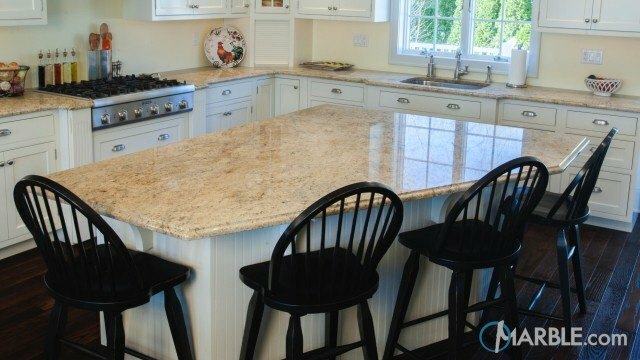 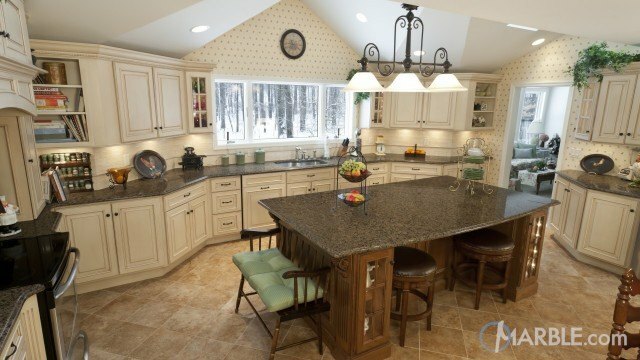 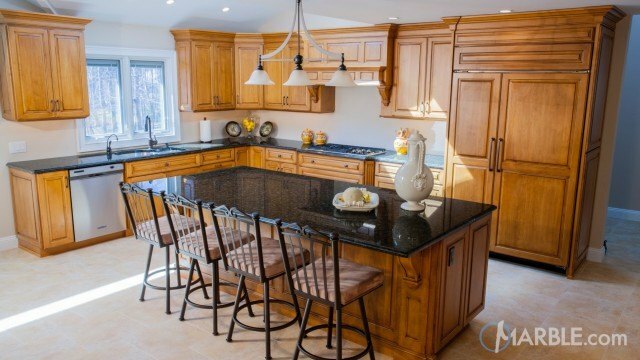 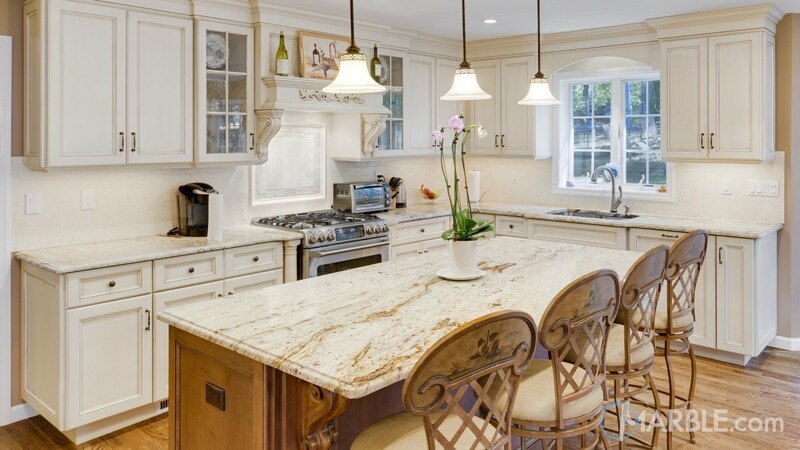 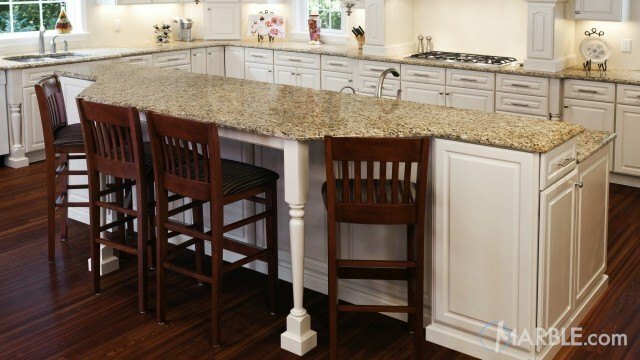 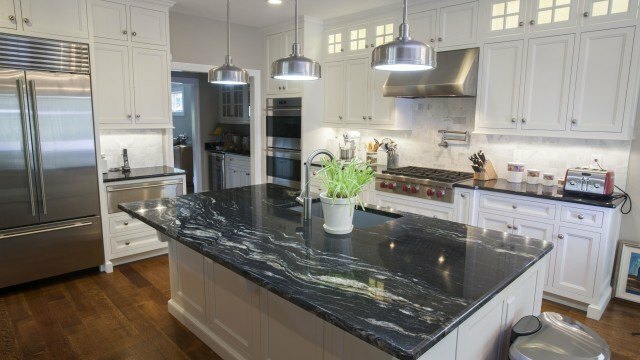 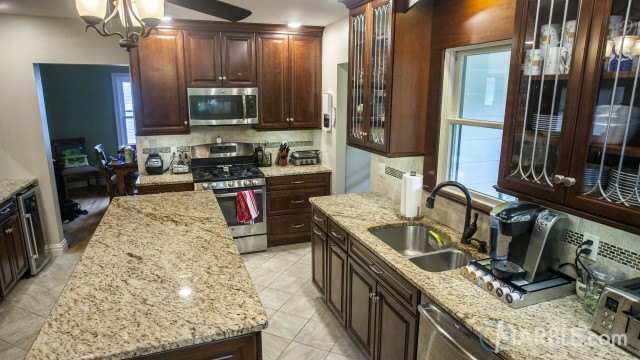 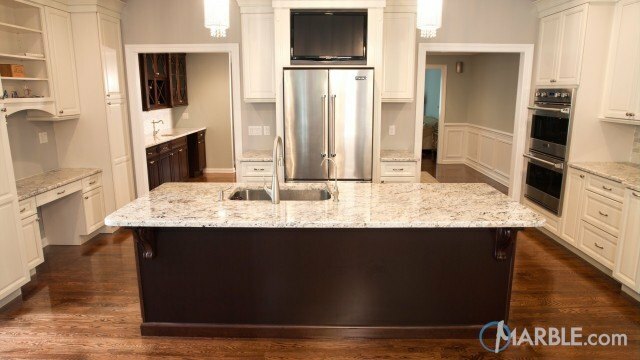 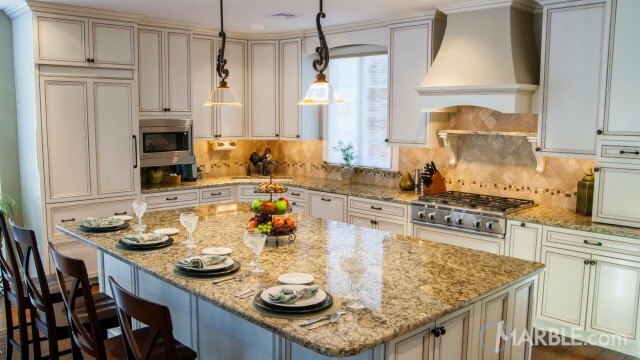 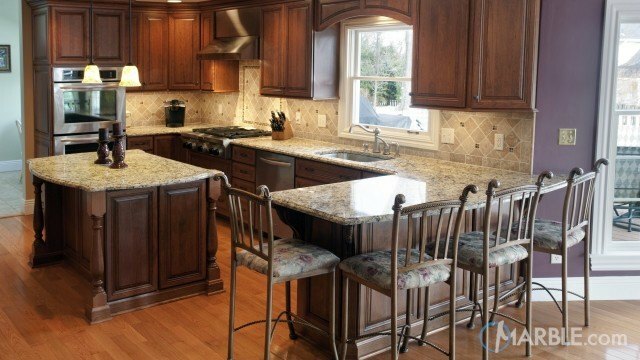 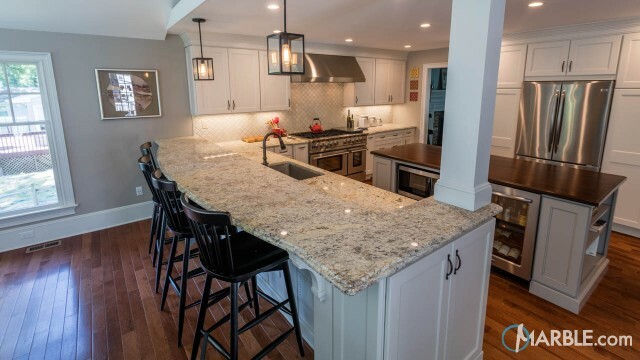 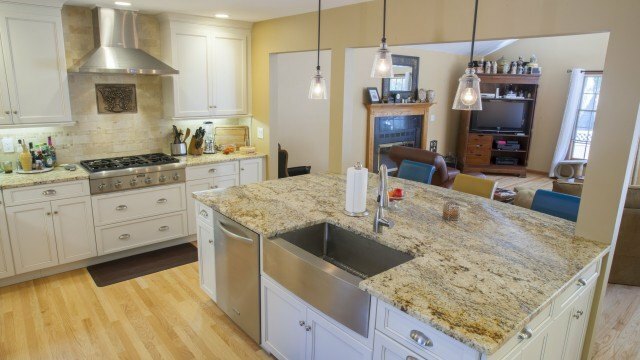 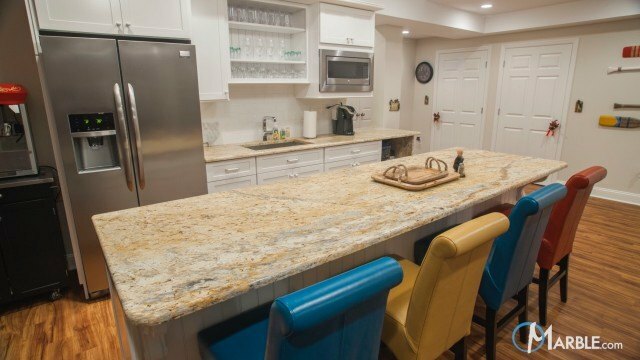 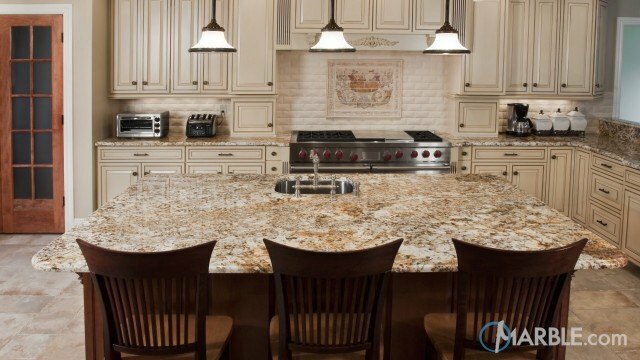 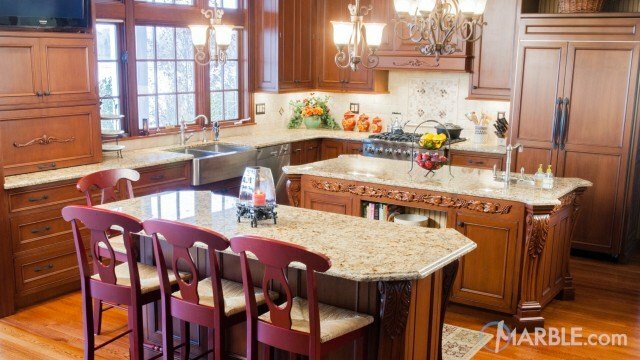 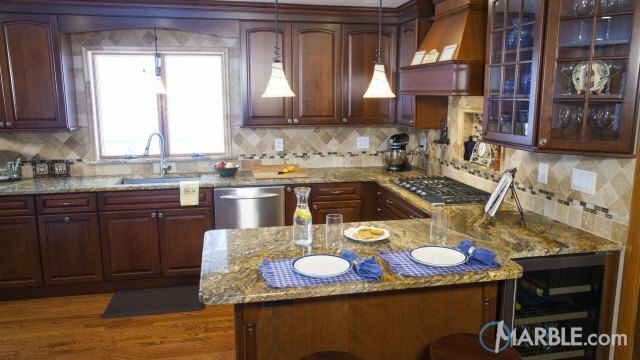 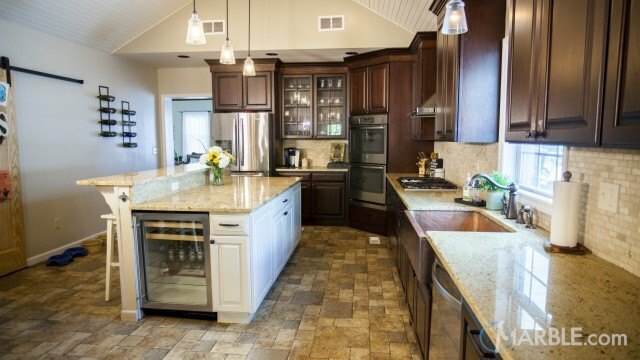 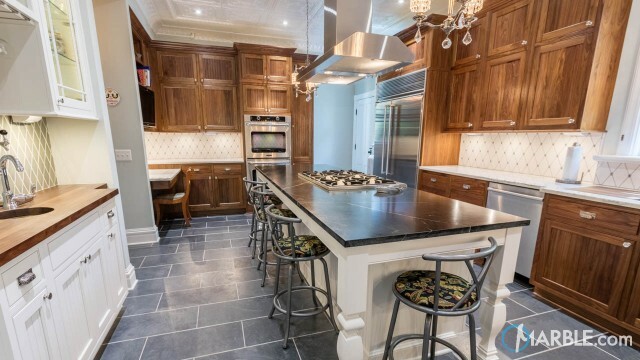 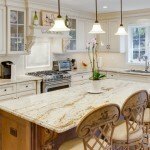 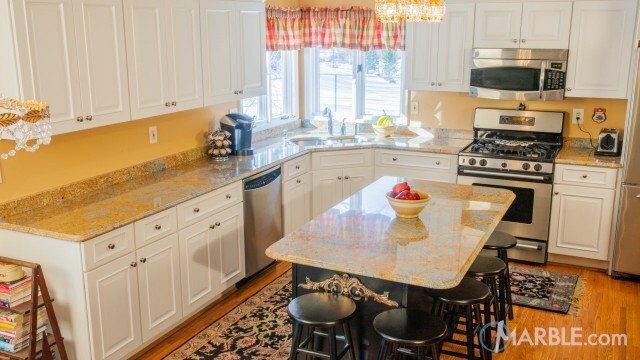 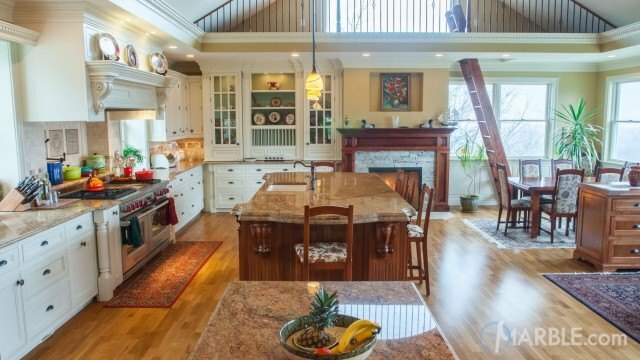 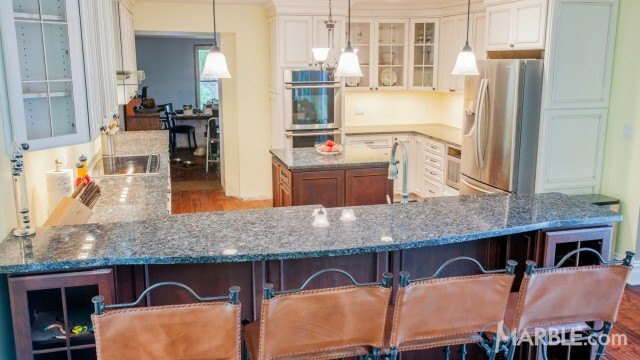 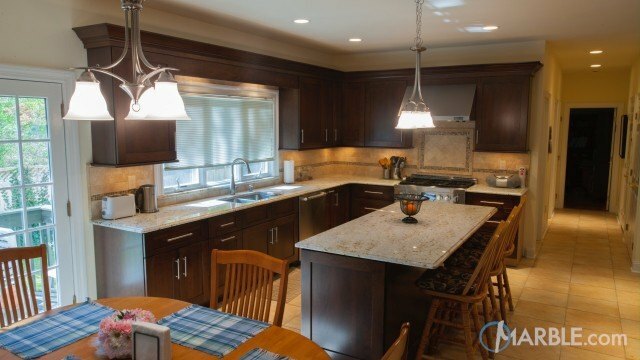 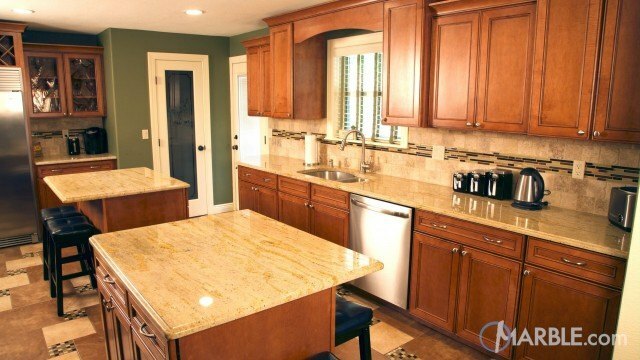 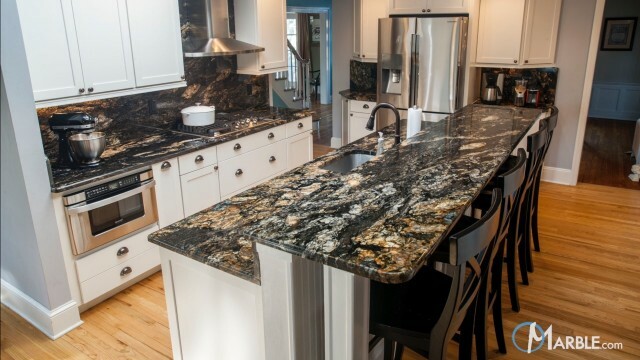 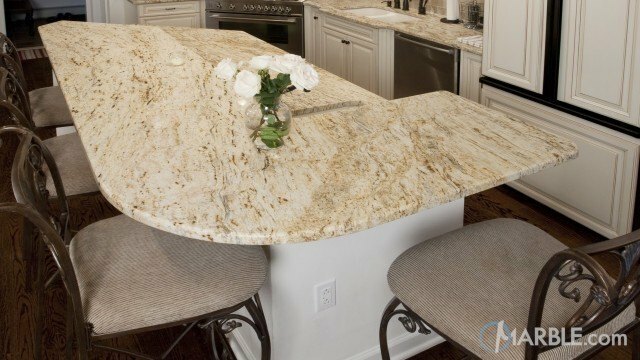 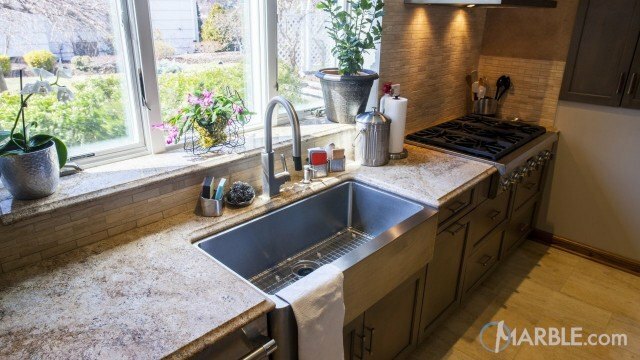 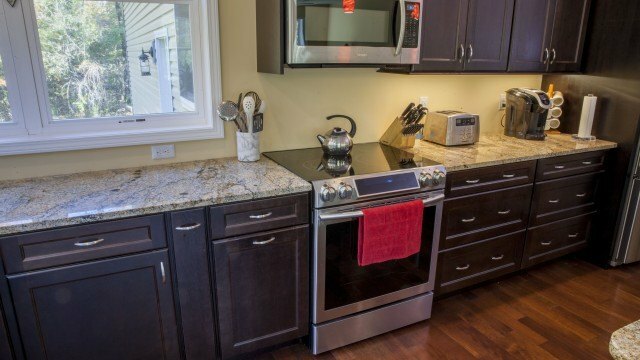 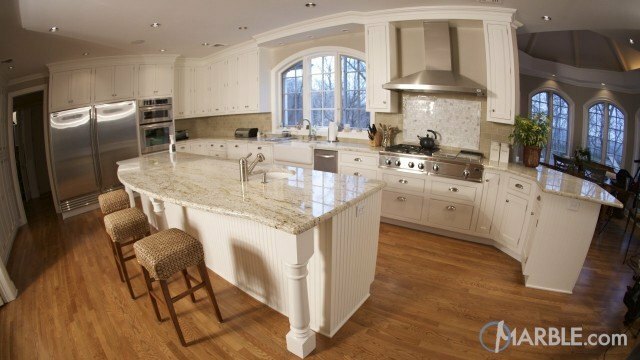 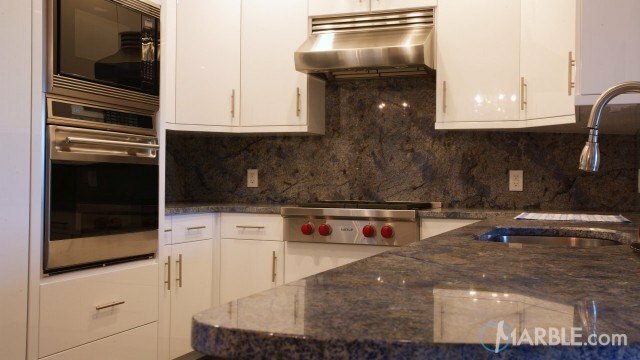 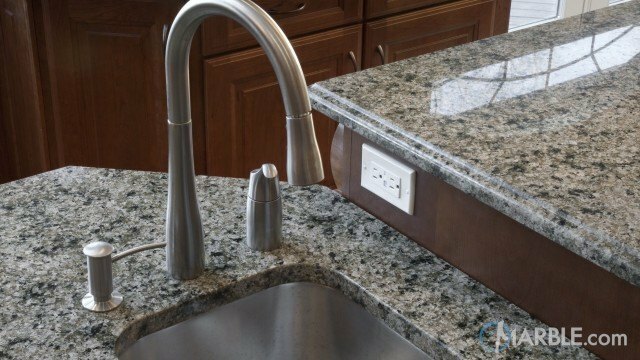 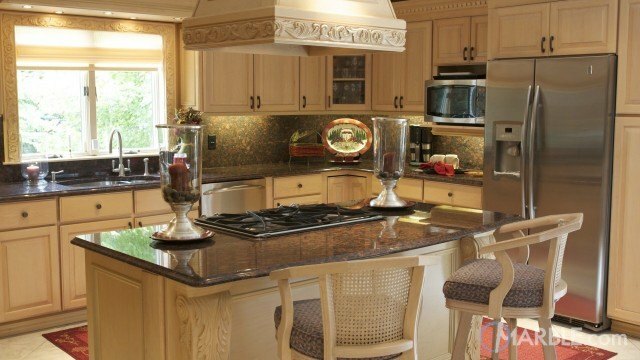 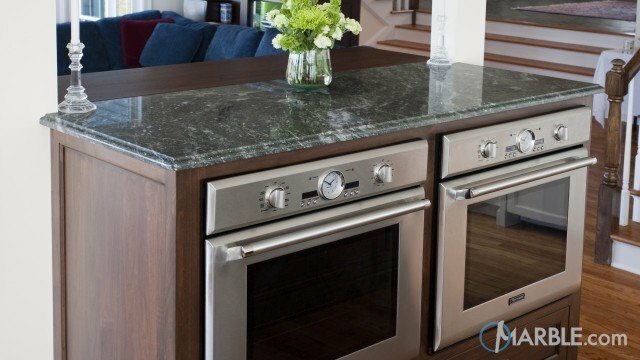 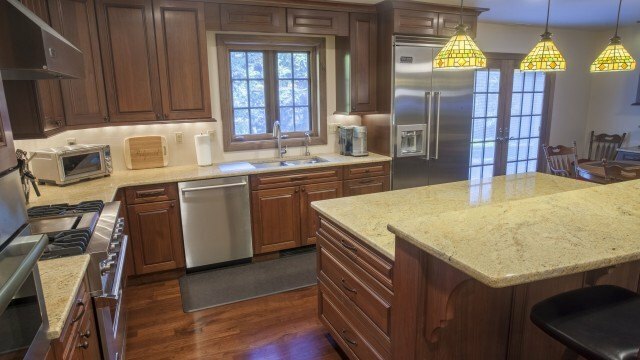 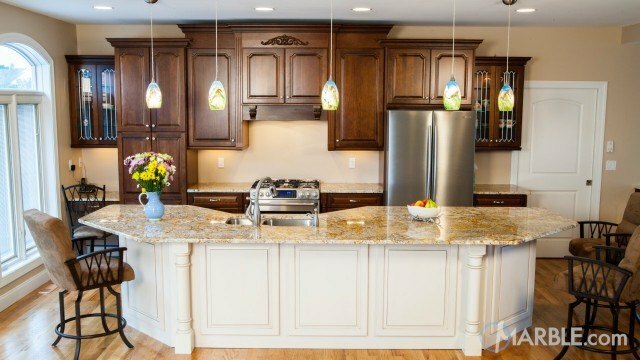 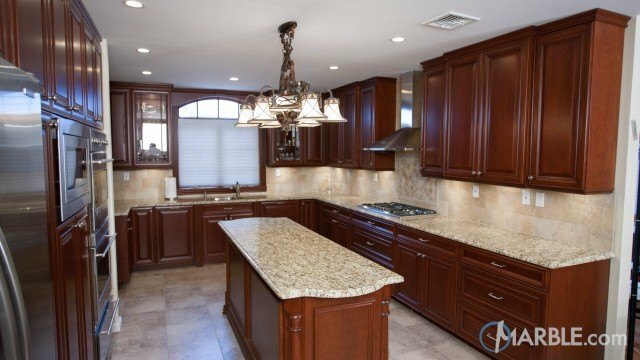 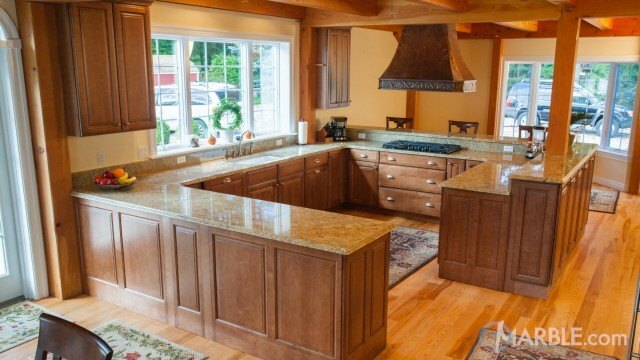 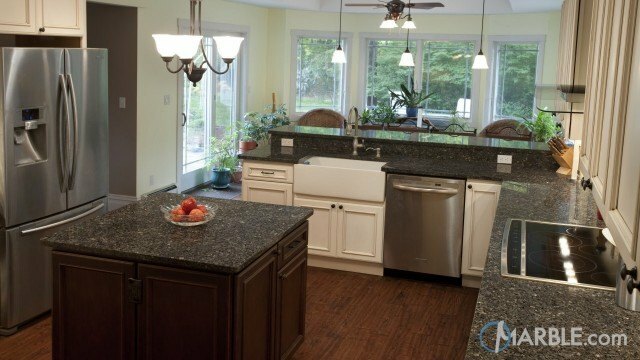 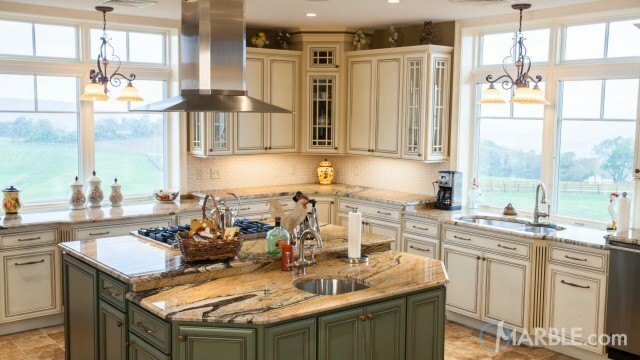 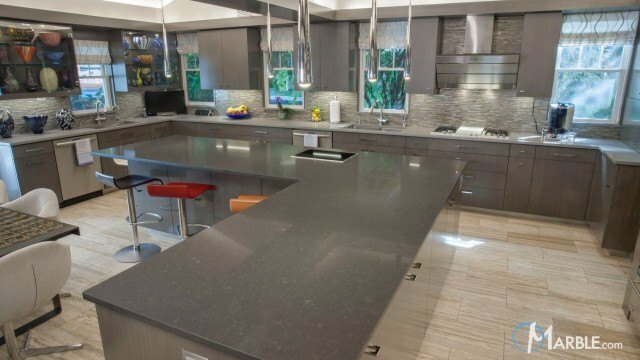 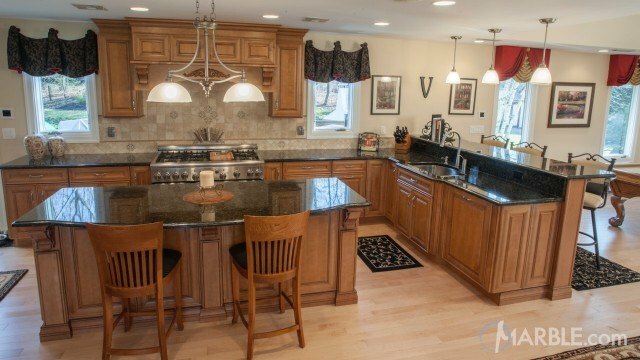 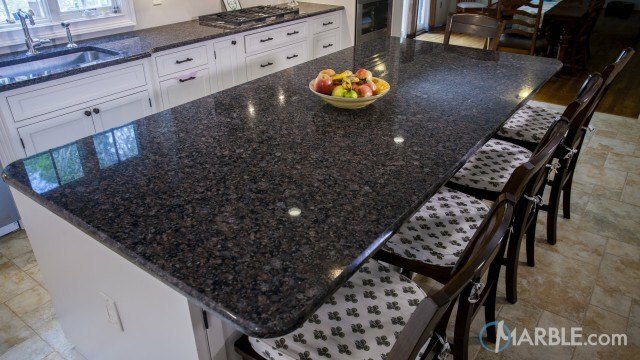 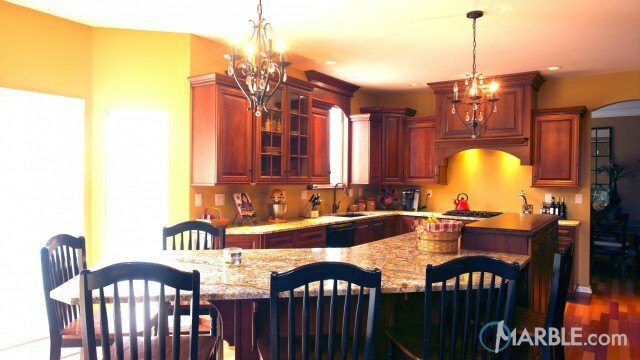 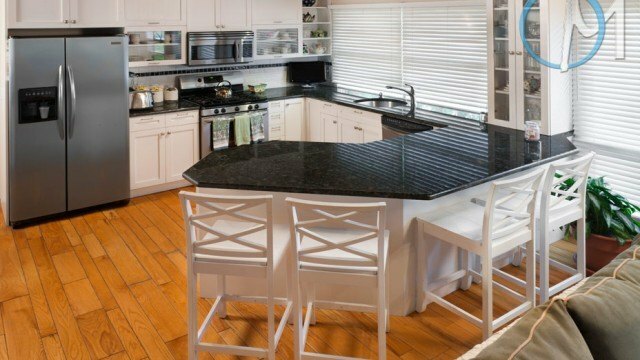 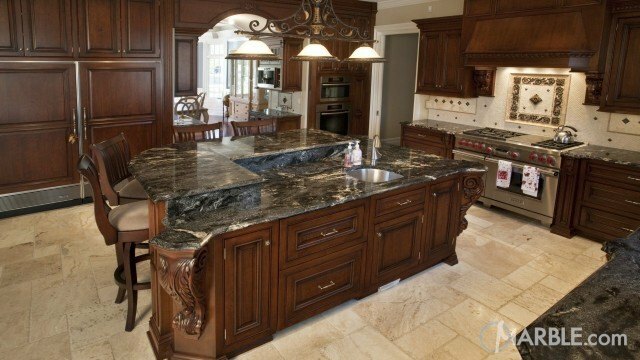 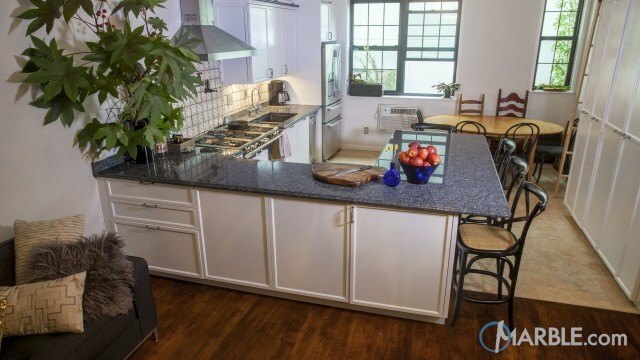 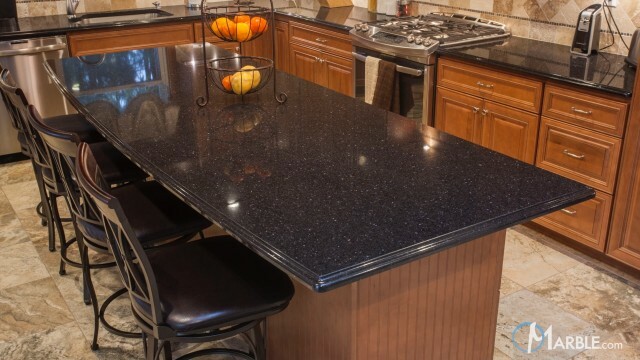 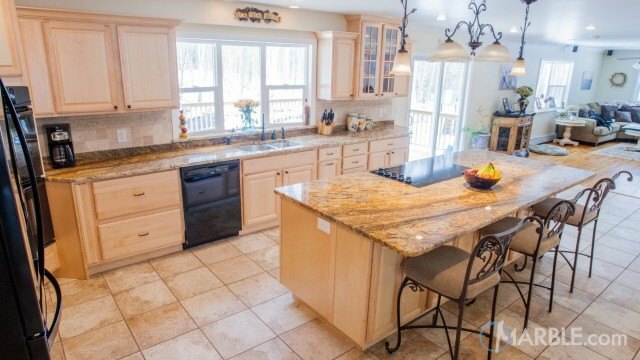 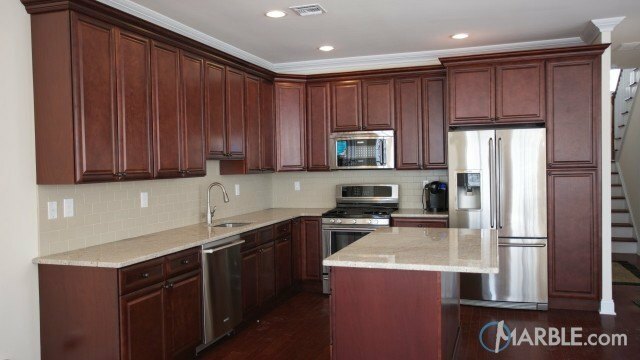 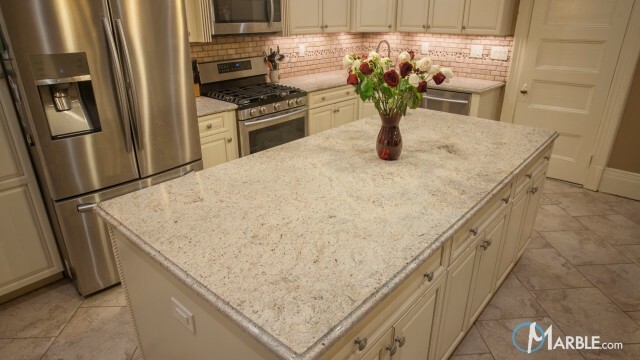 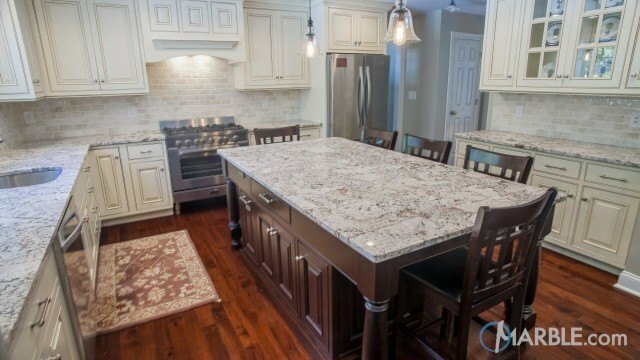 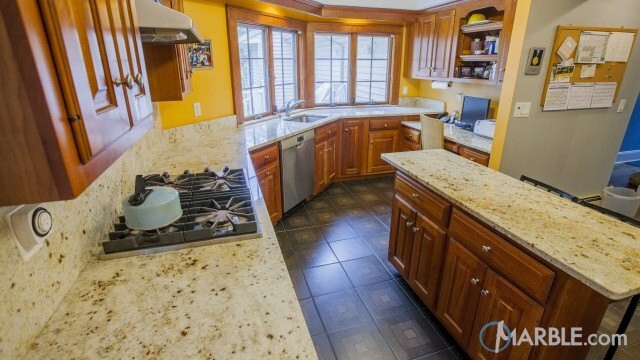 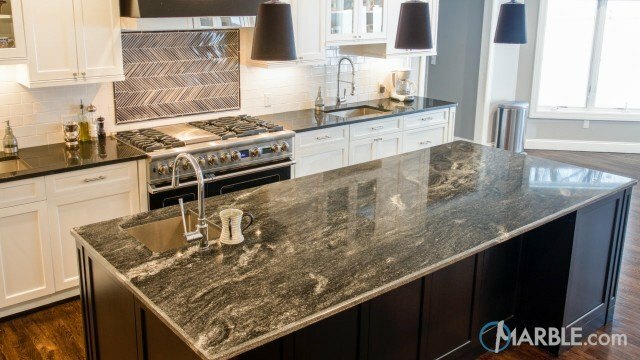 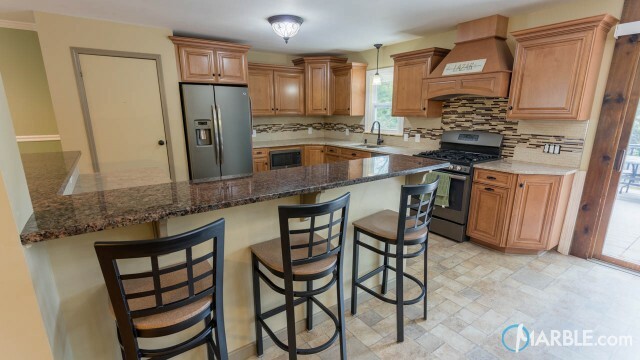 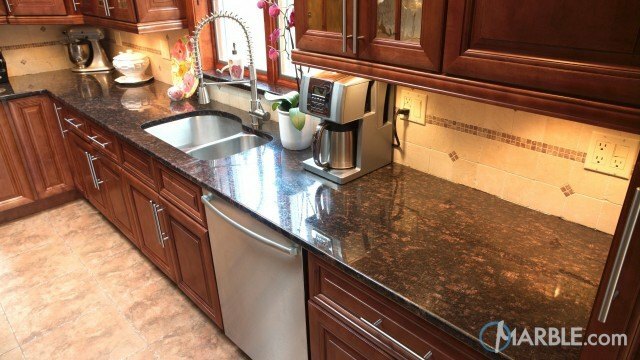 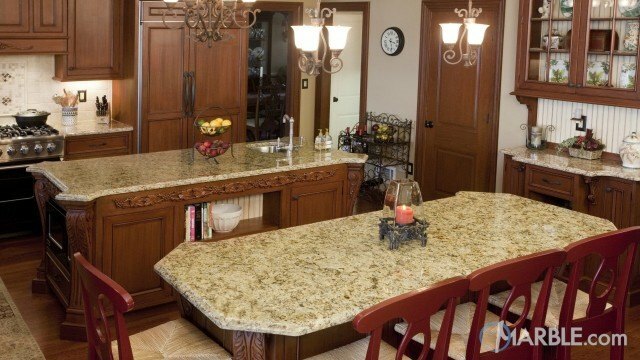 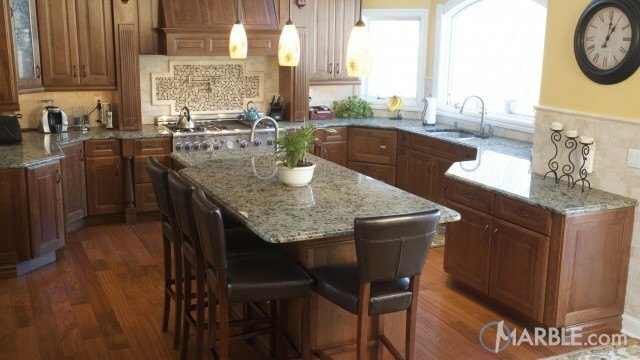 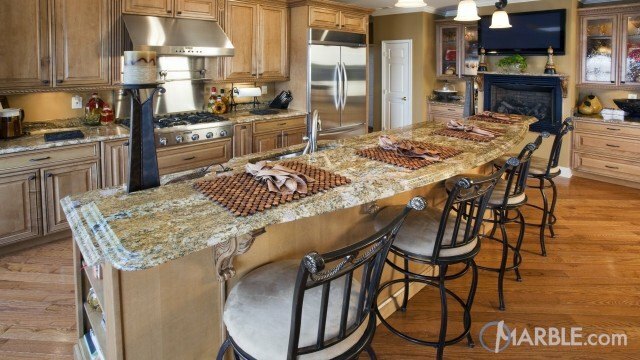 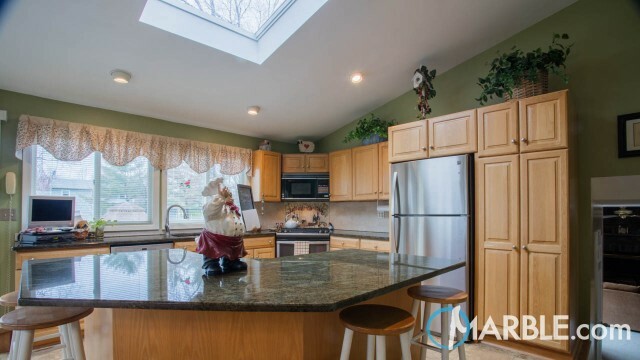 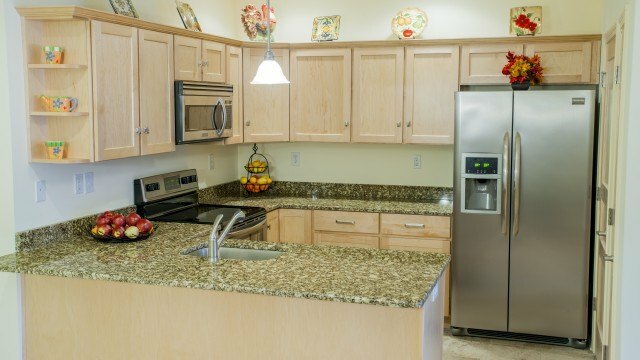 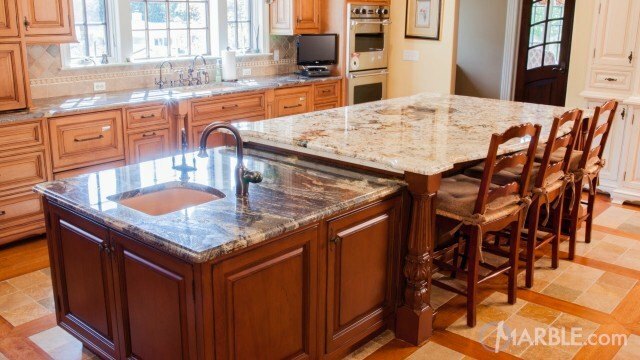 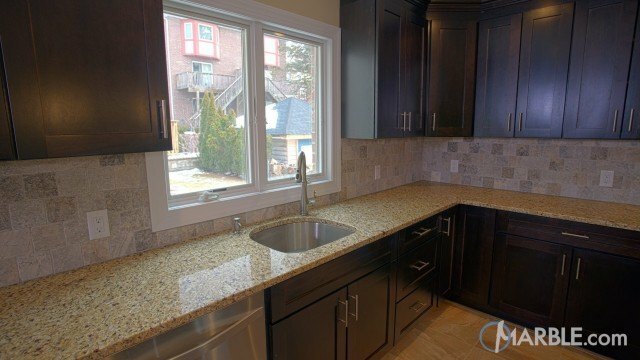 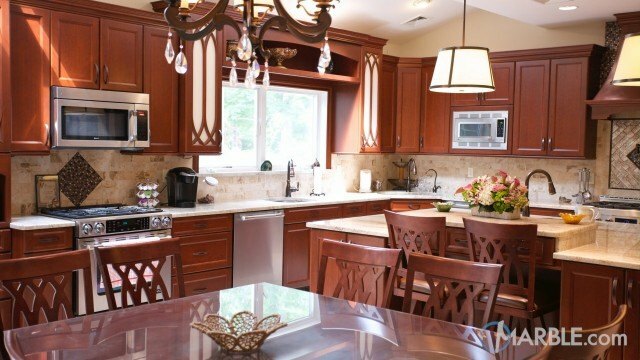 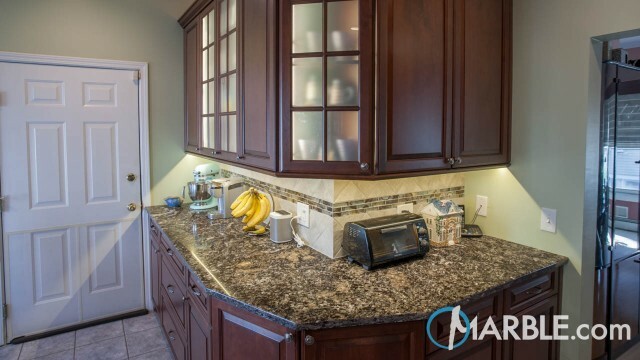 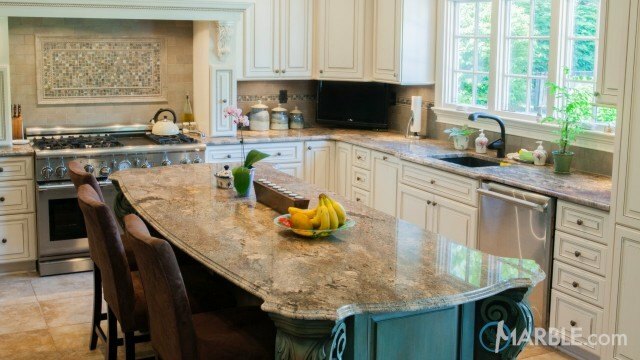 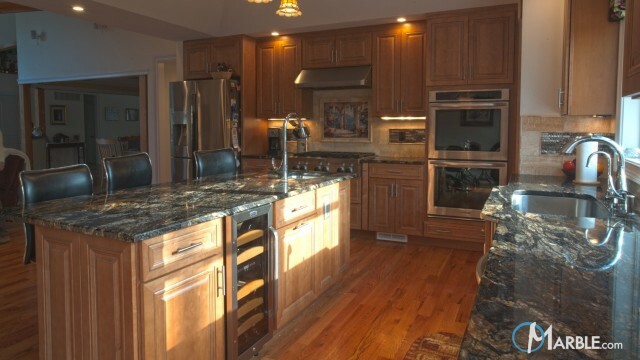 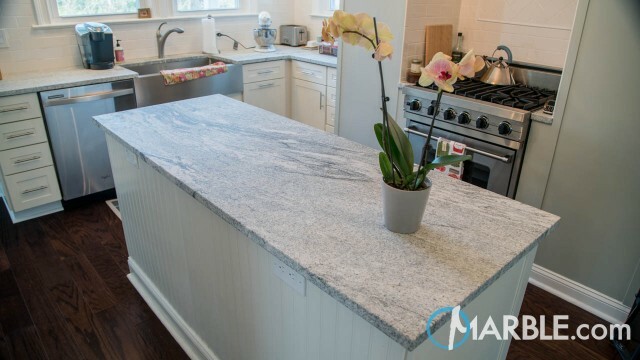 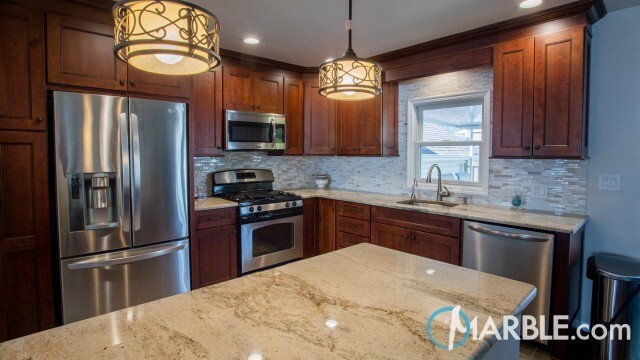 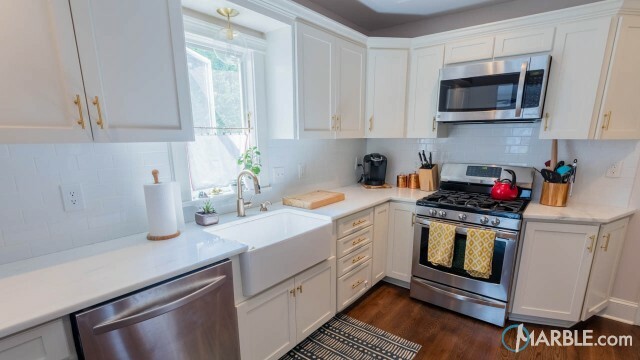 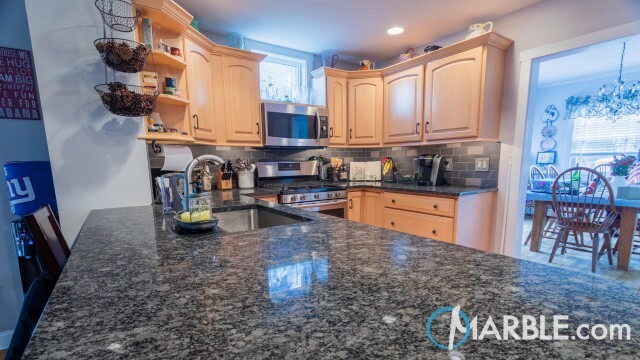 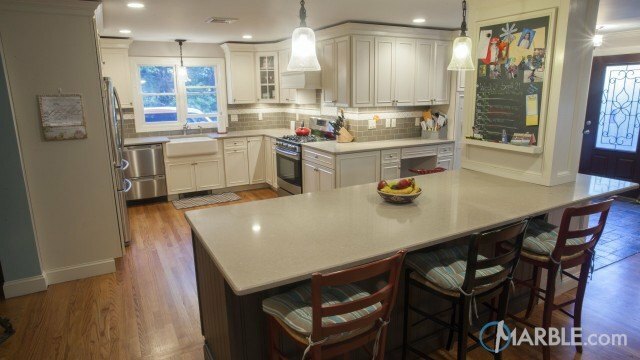 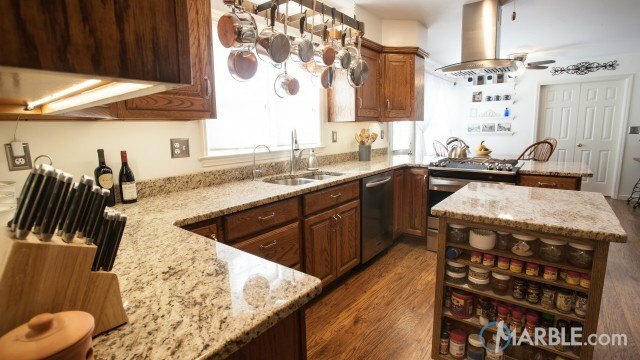 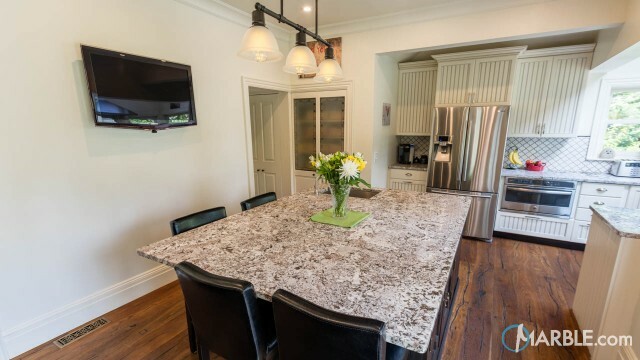 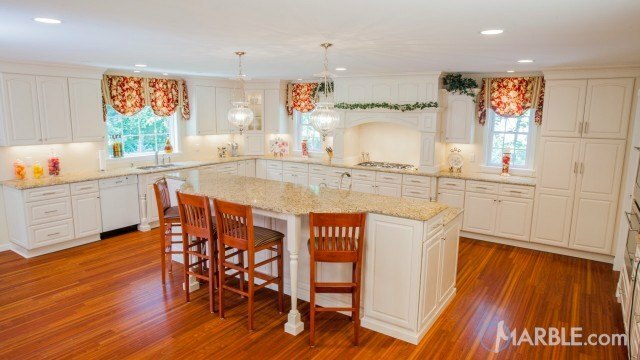 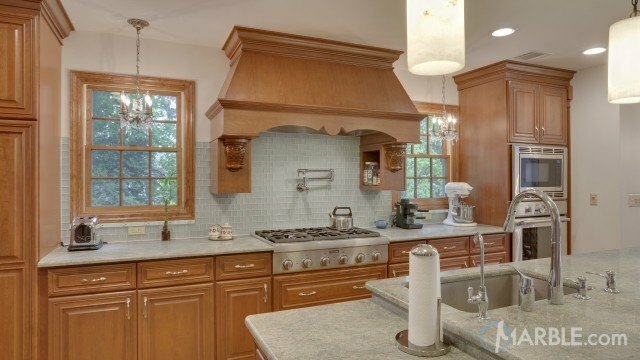 This classic kitchen is punctuated by a beautiful piece of New Gold Antique granite with an Ogee Edge. 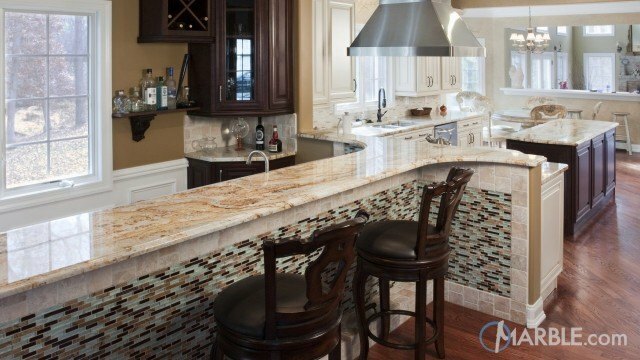 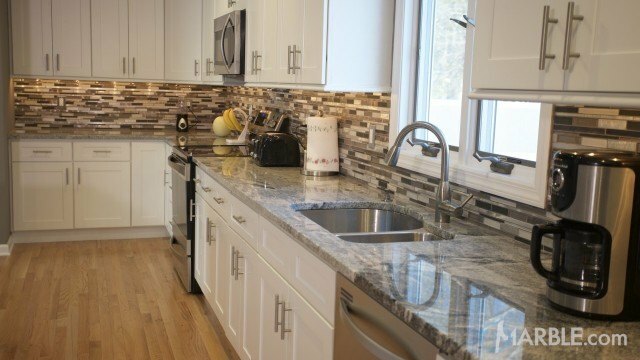 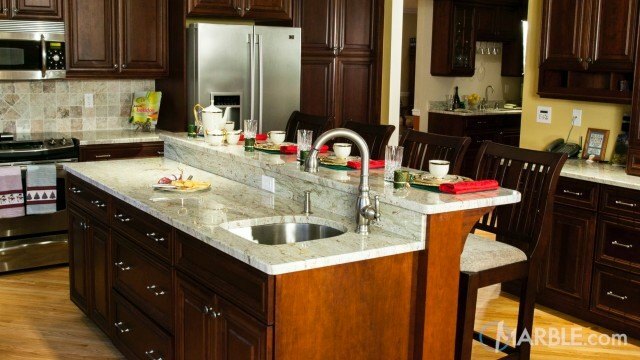 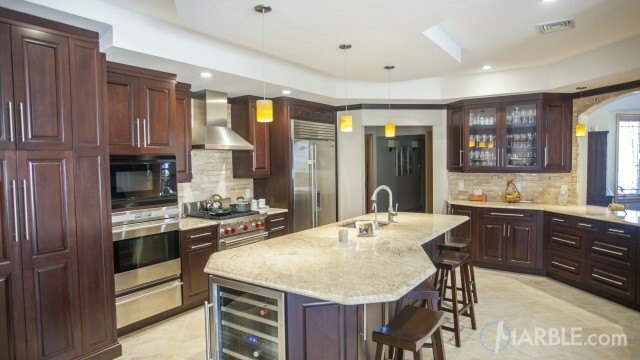 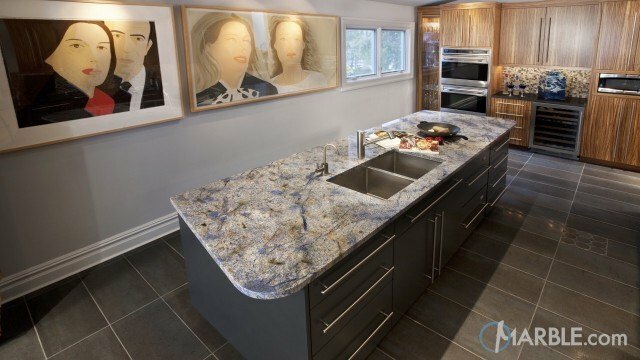 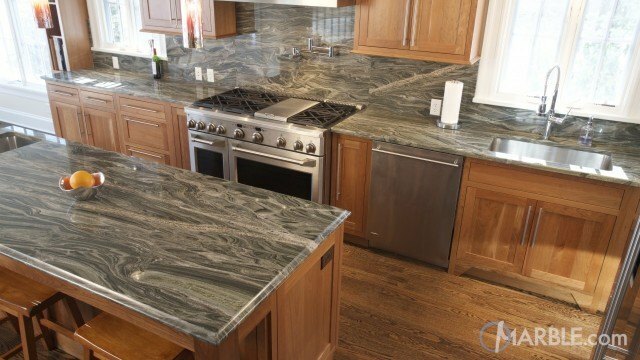 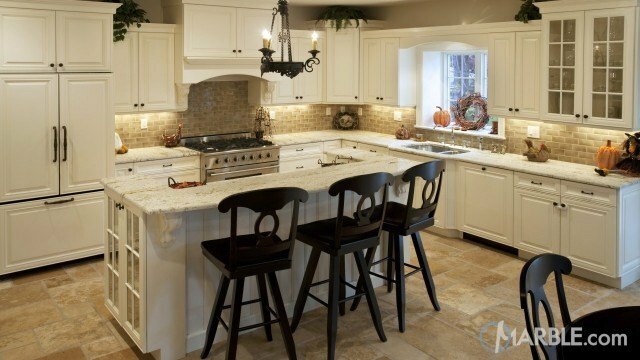 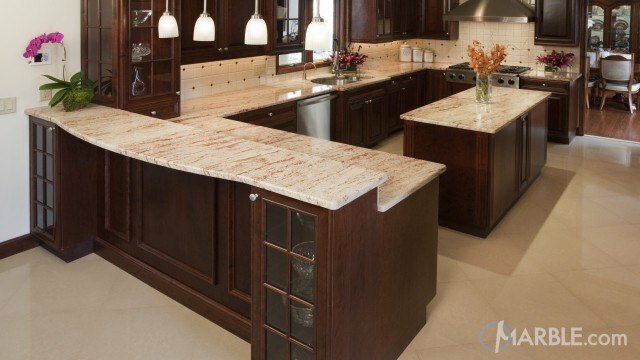 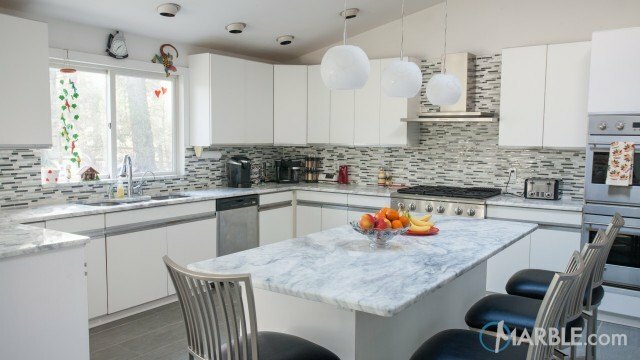 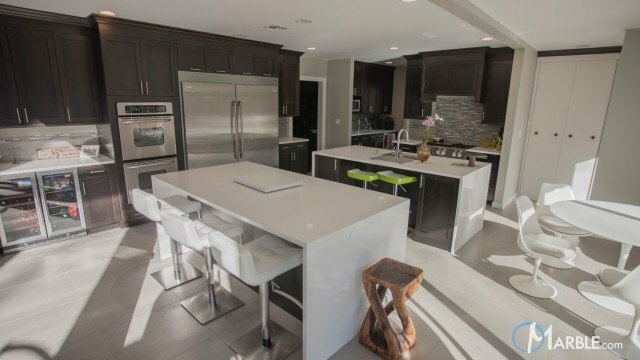 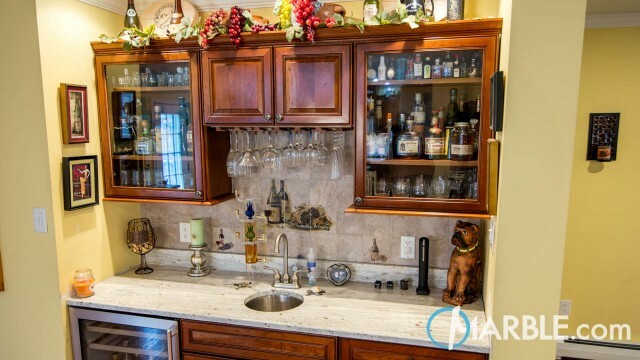 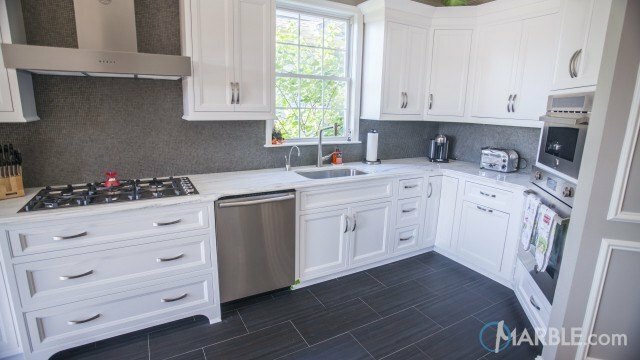 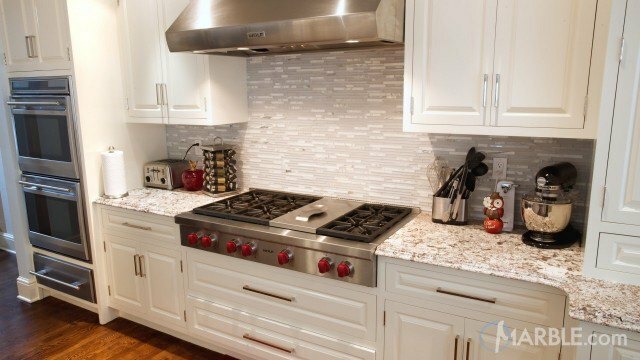 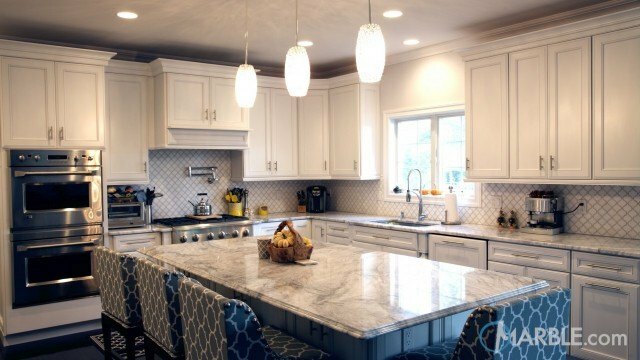 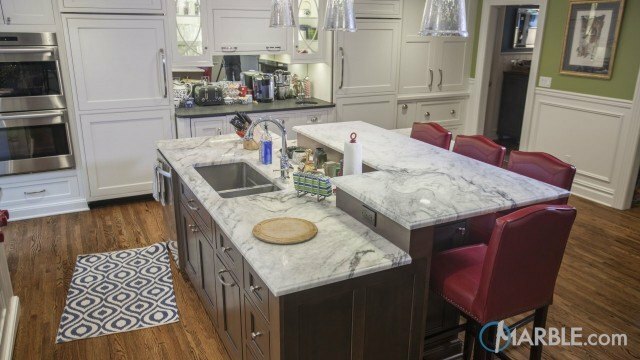 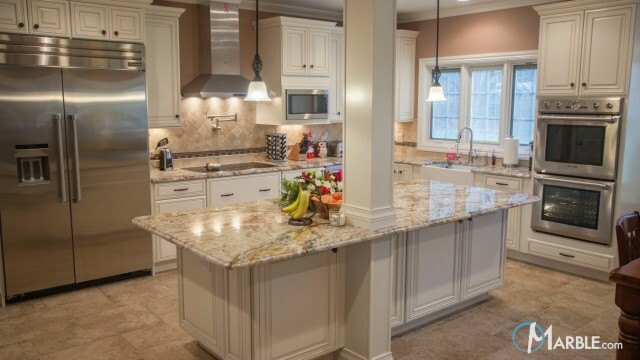 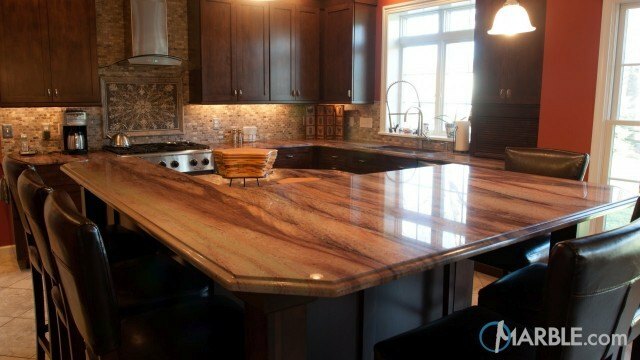 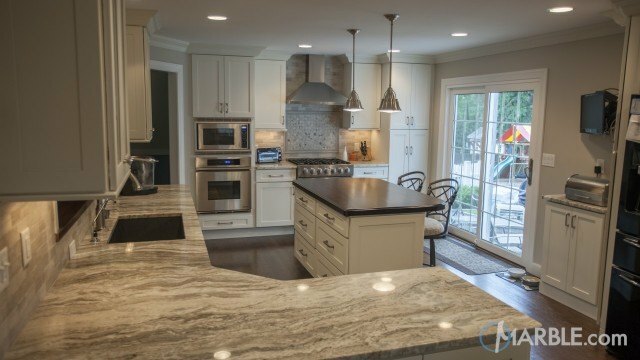 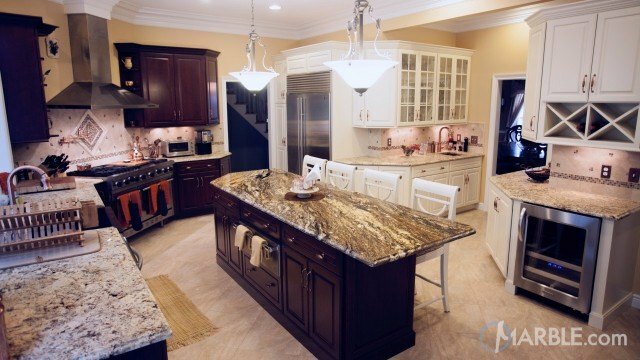 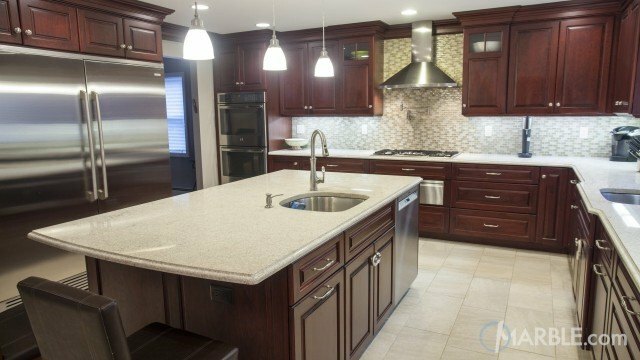 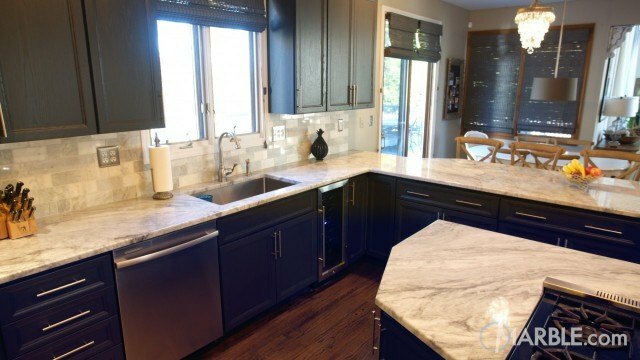 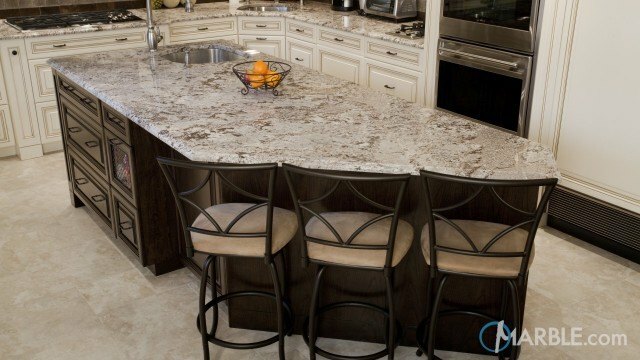 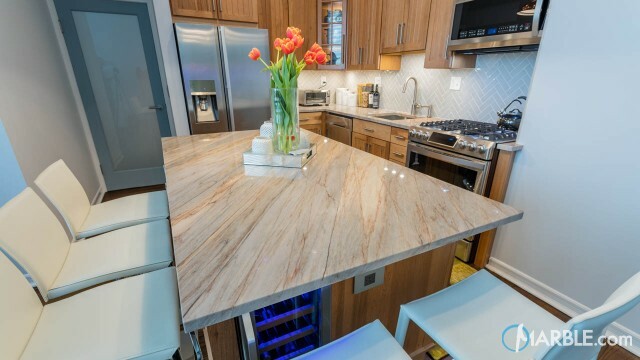 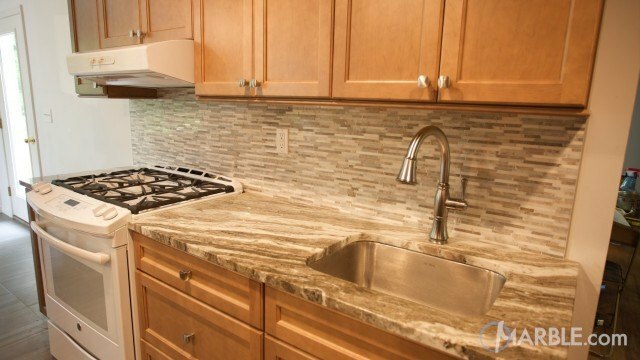 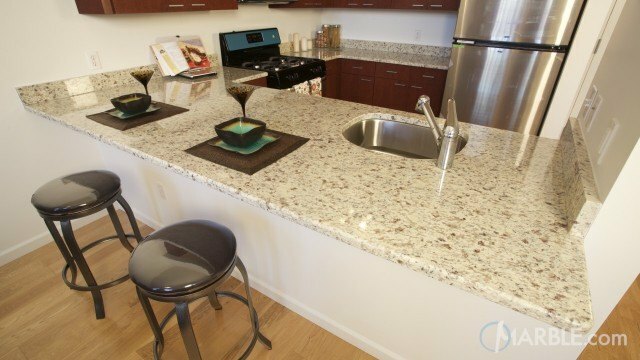 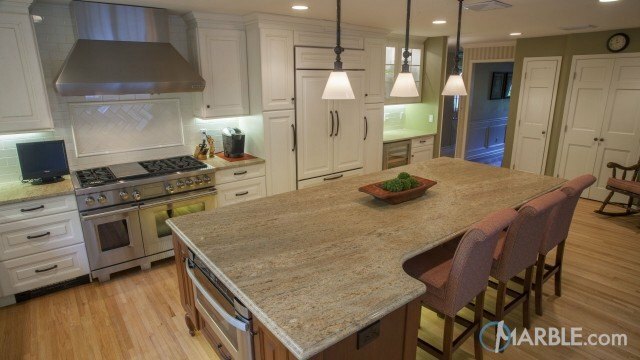 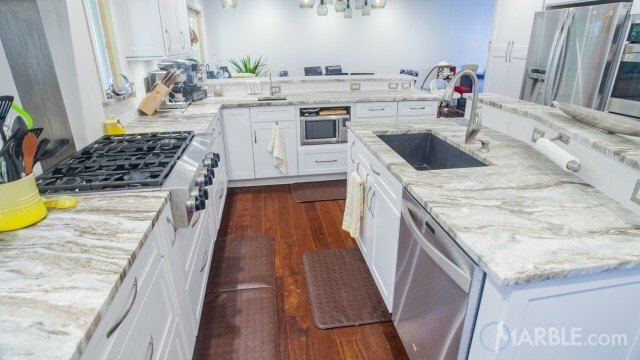 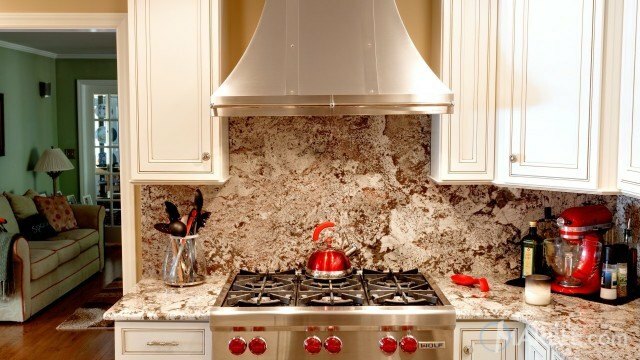 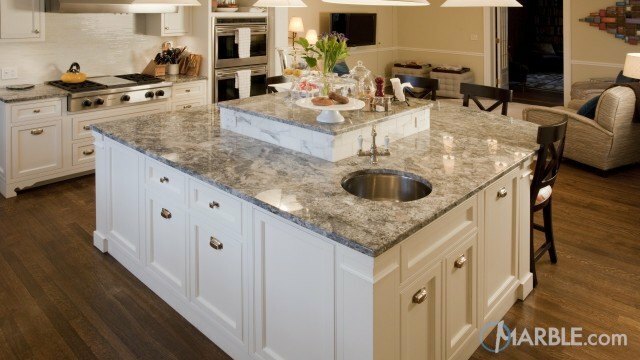 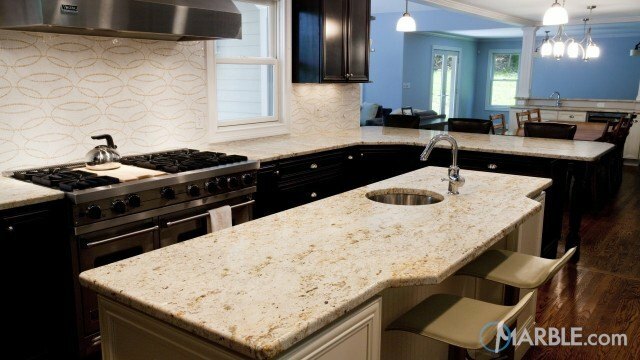 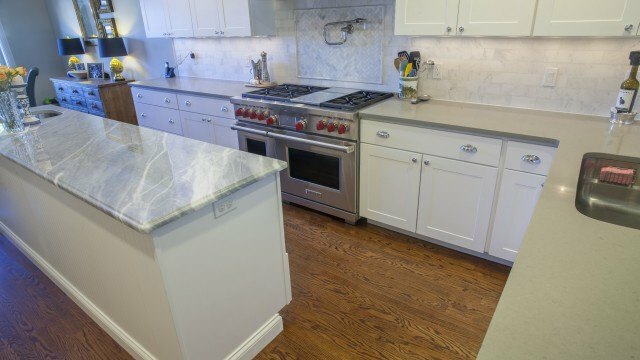 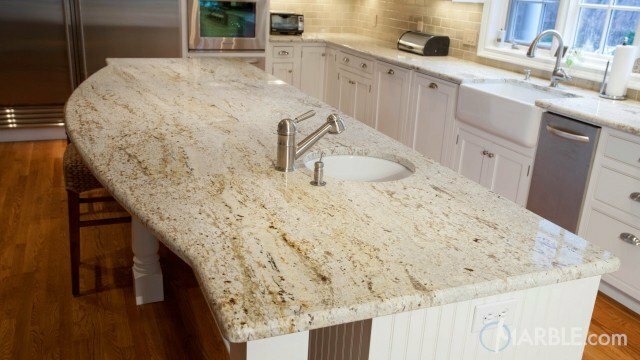 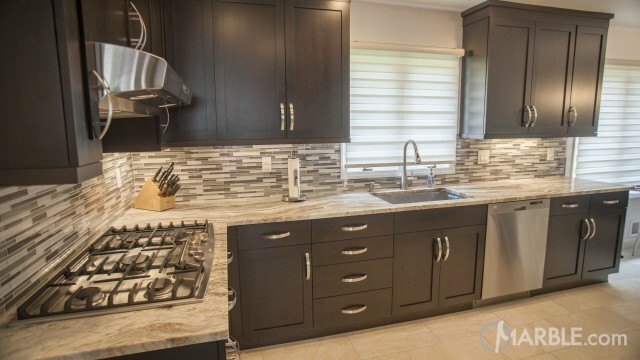 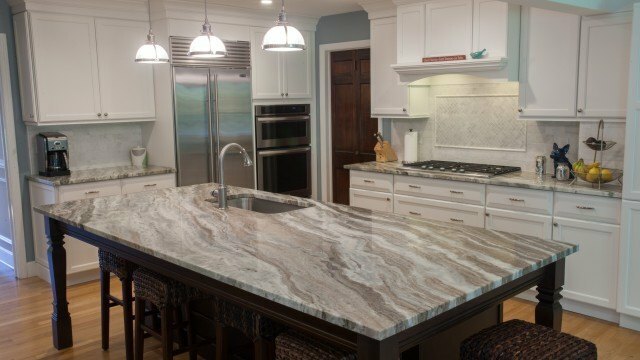 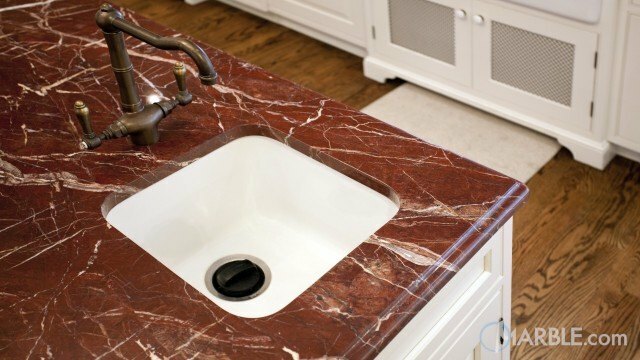 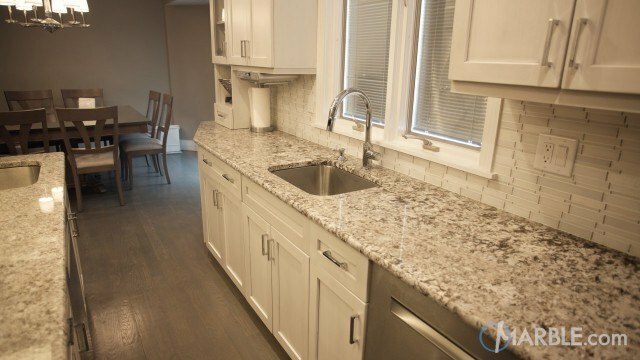 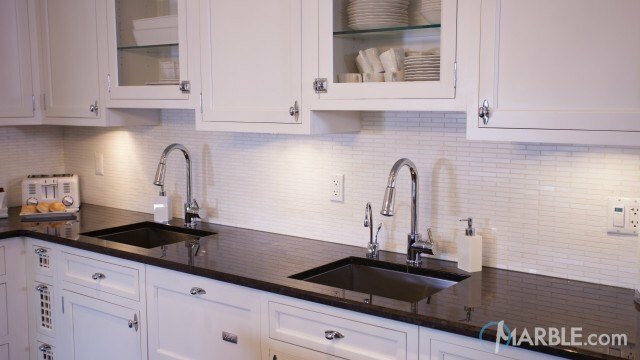 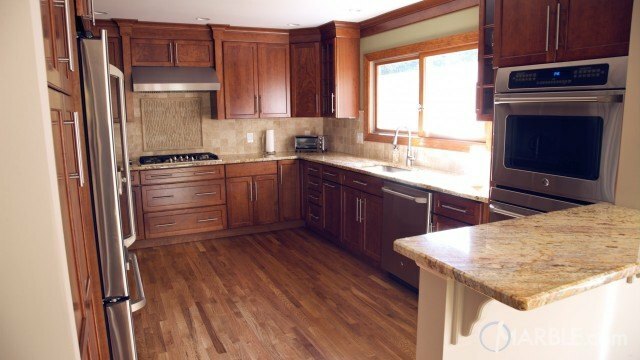 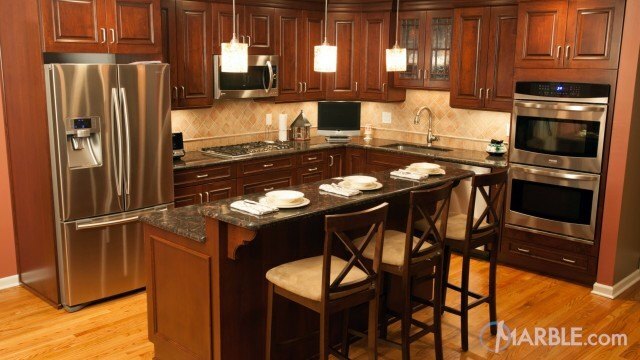 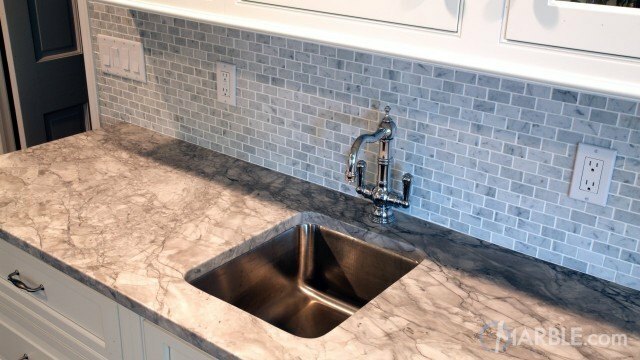 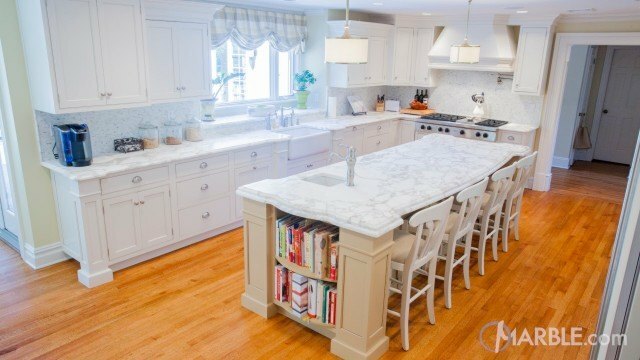 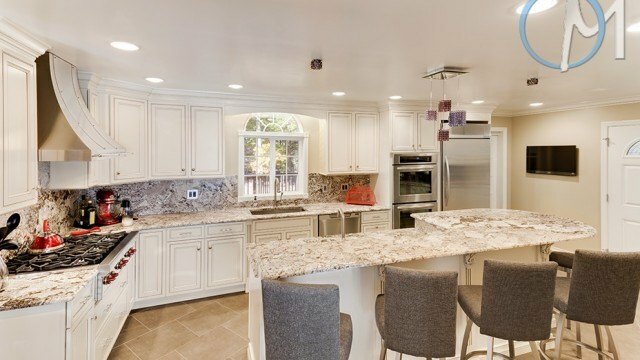 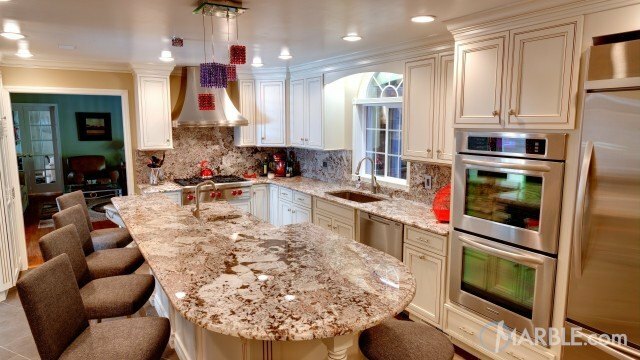 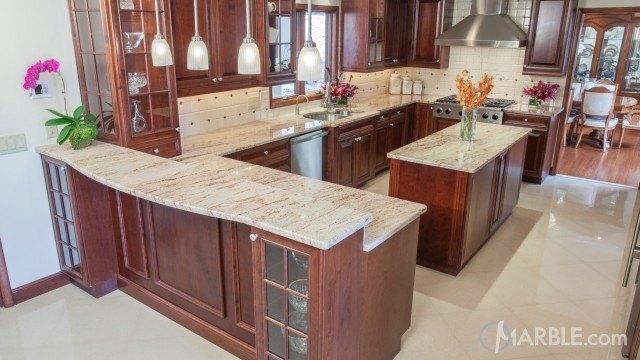 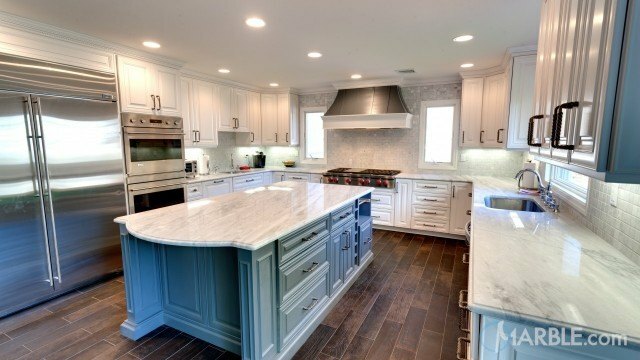 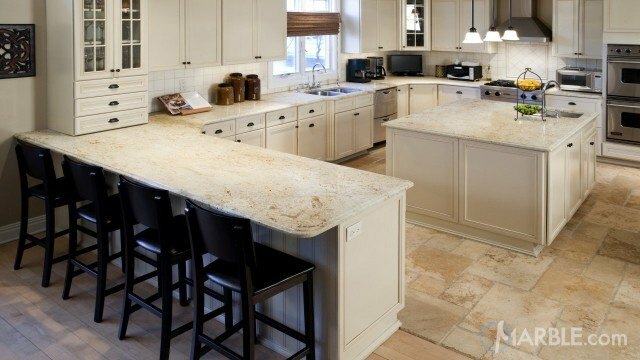 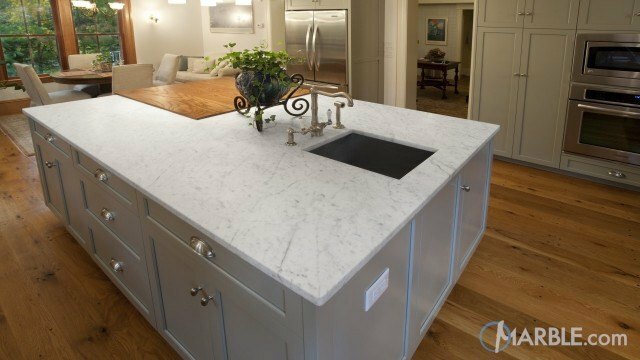 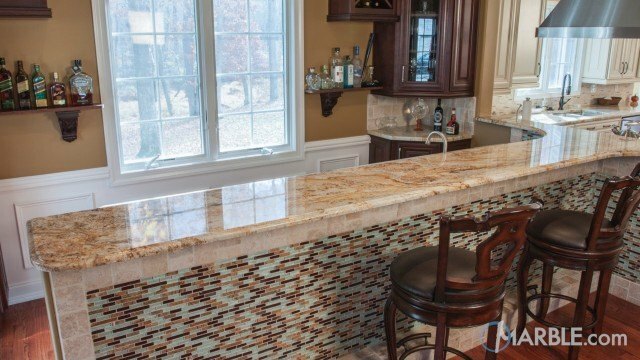 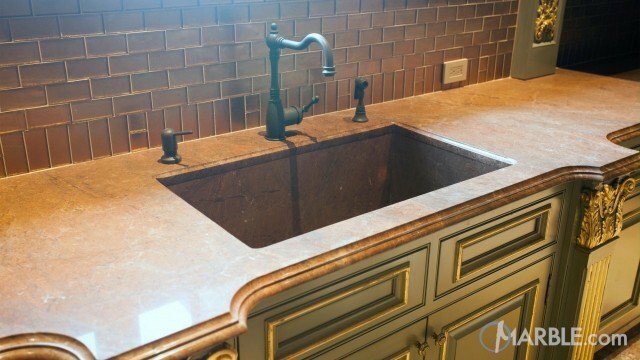 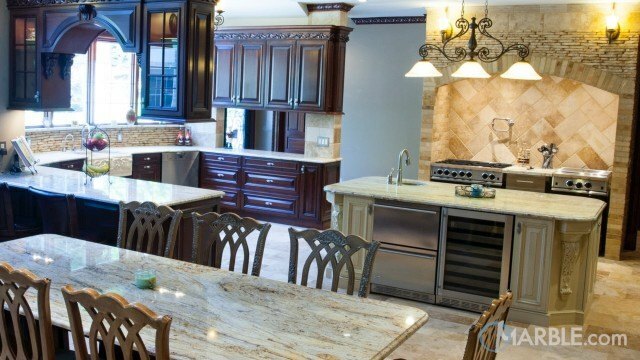 The white cabinets and brown island contrast perfectly to bring out the veins and colors in the natural stone. 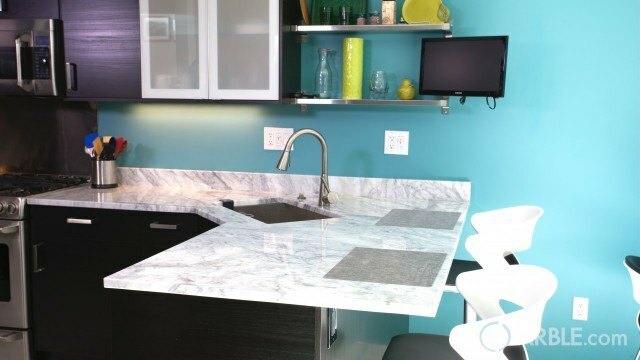 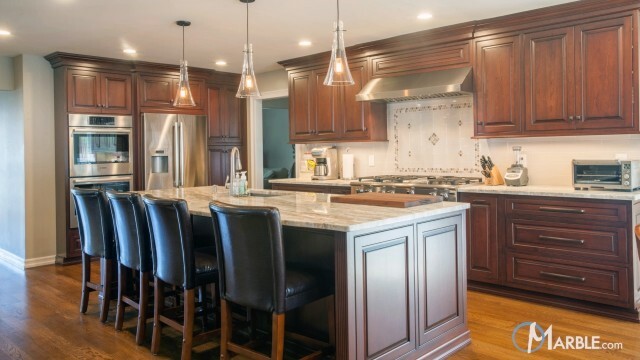 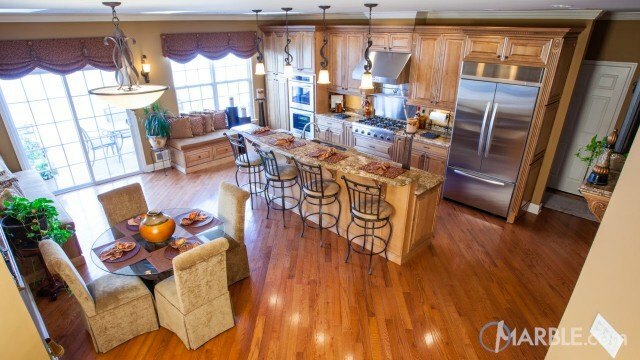 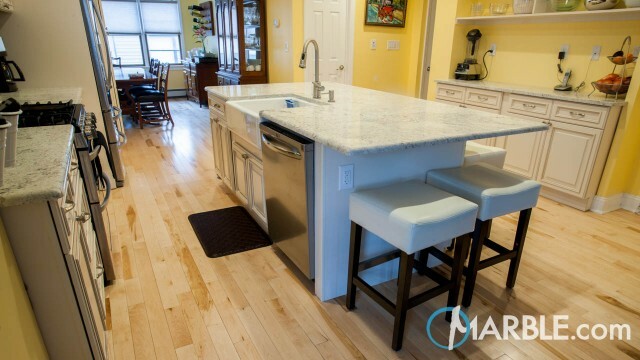 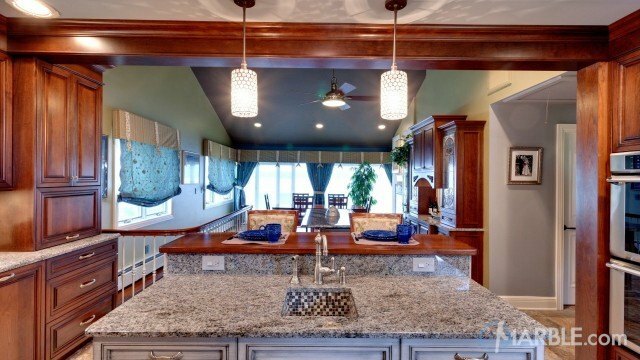 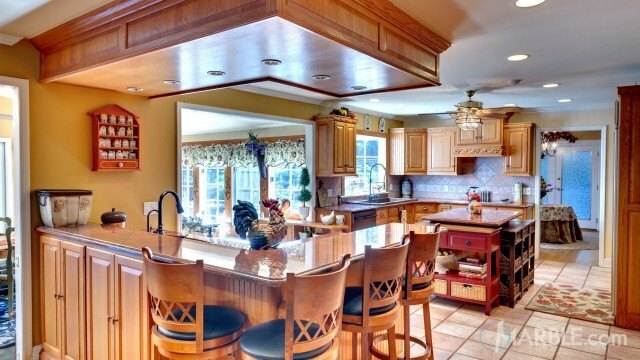 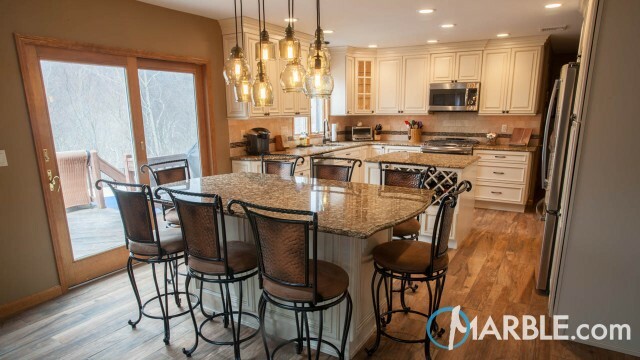 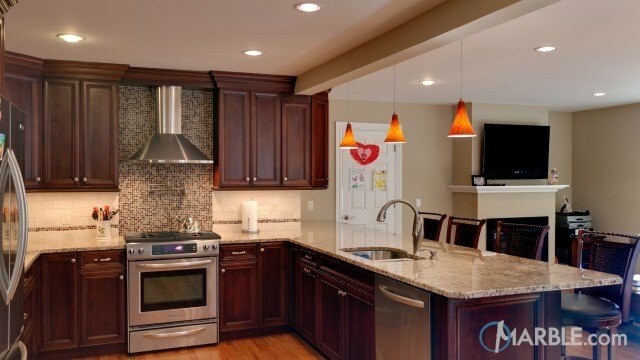 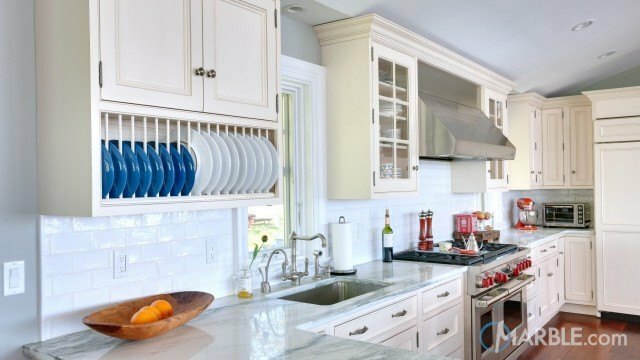 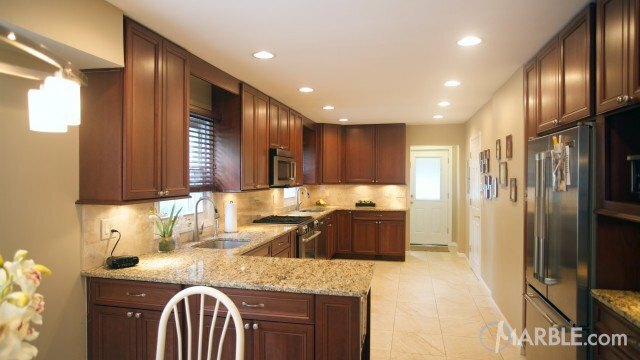 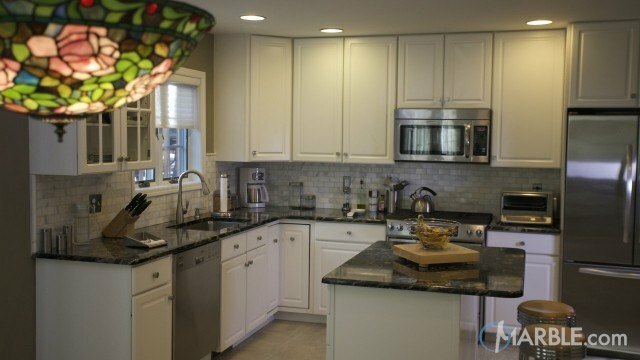 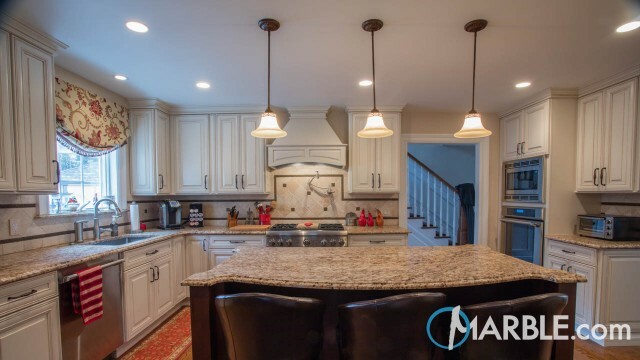 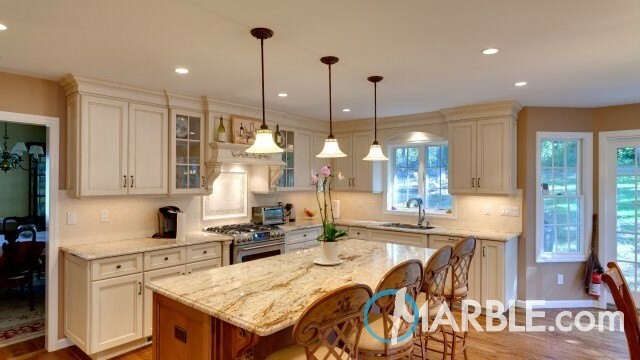 Soft lighting illuminates the work area, making this kitchen perfect for preparing food and entertaining guests.